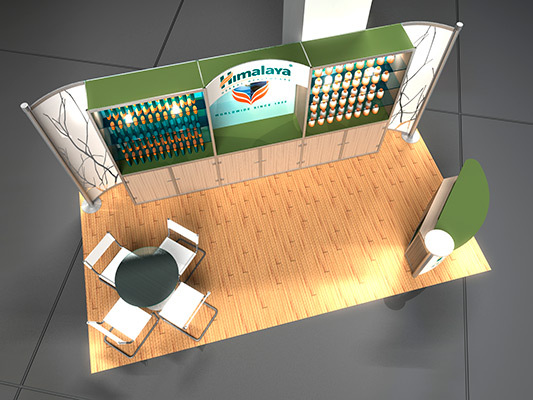 Colorful layout with attention-grabbing imagery. 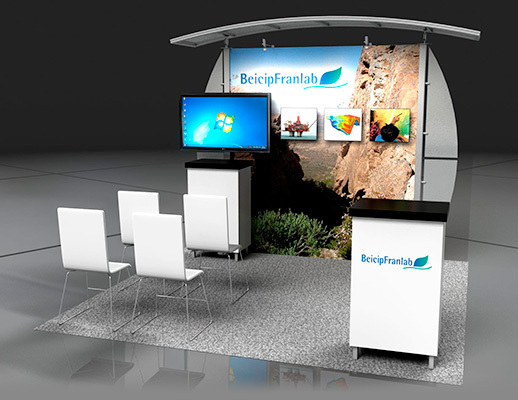 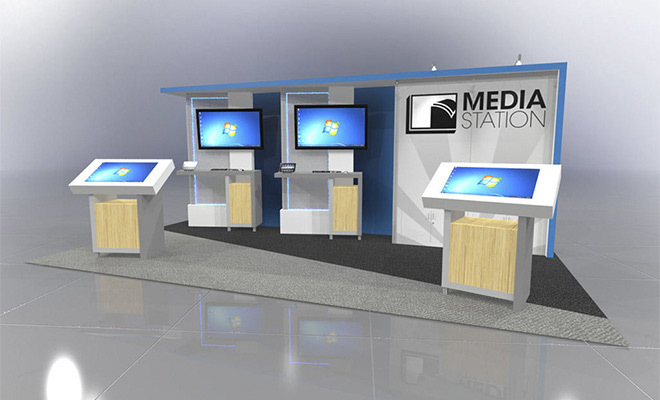 Very simple in nature, this station can be used as striking visual backdrop to a lecturer or presenter, or as a stand-alone environment for attendees to browse. 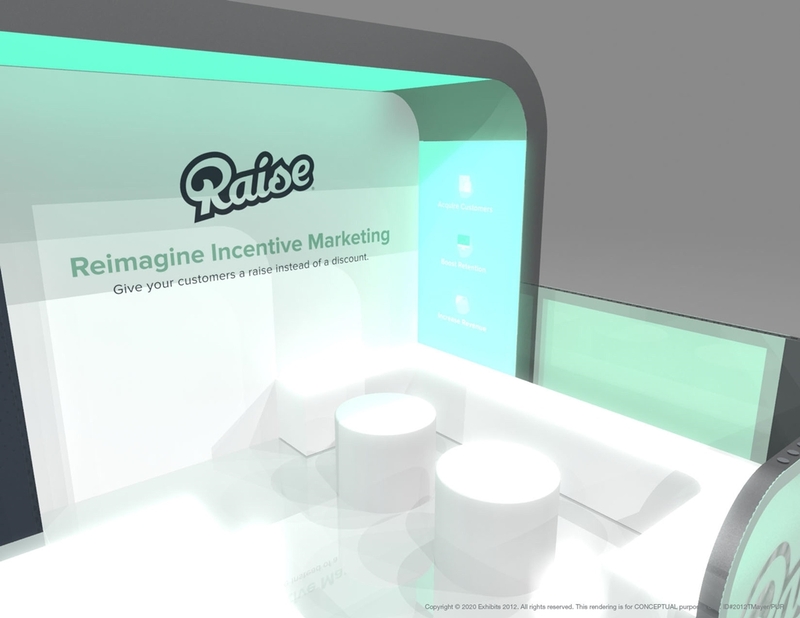 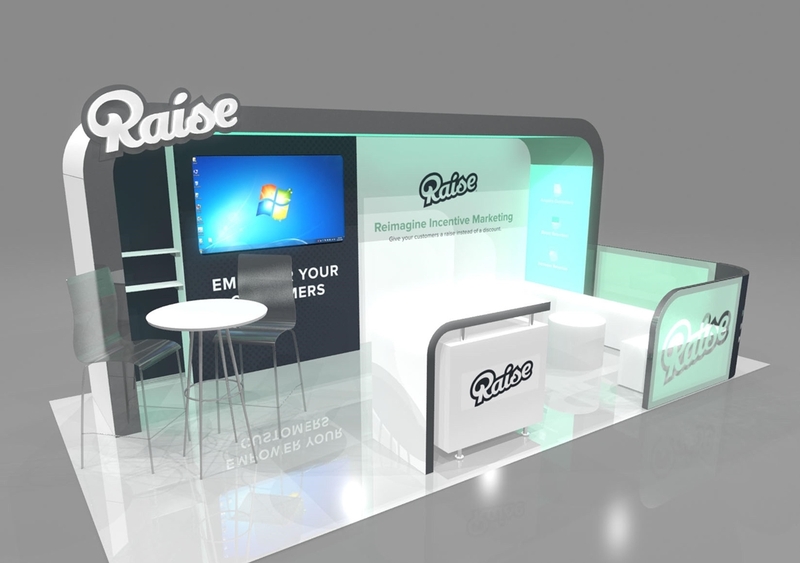 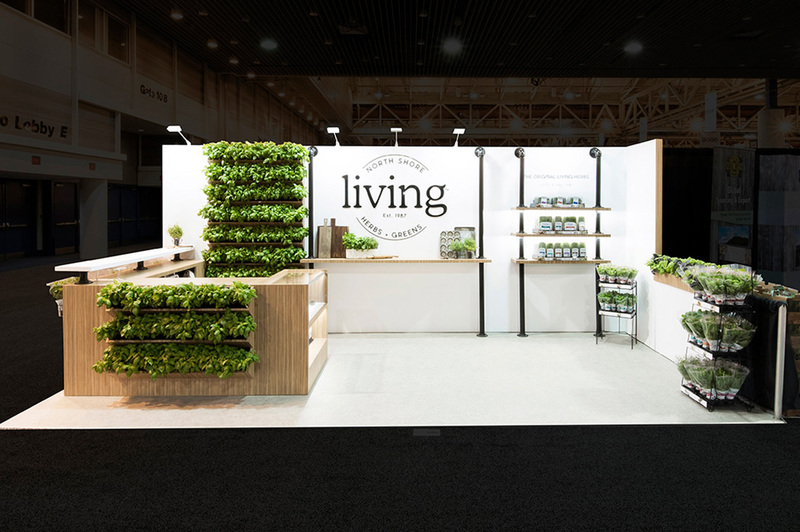 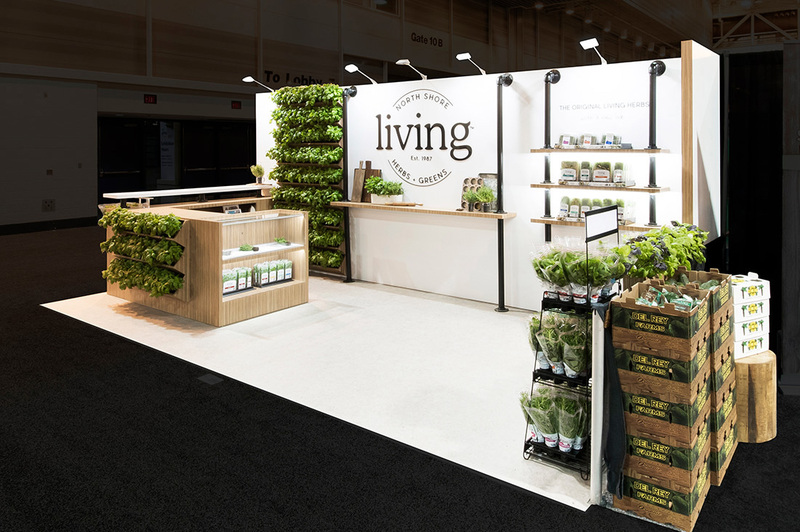 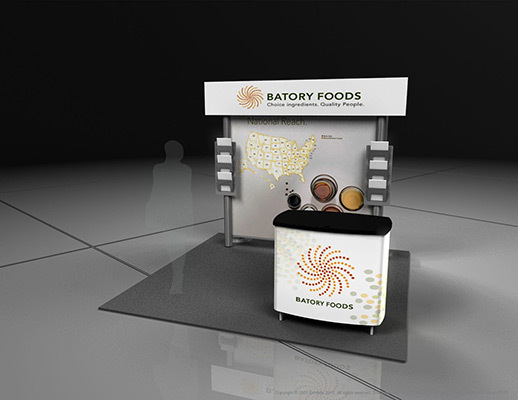 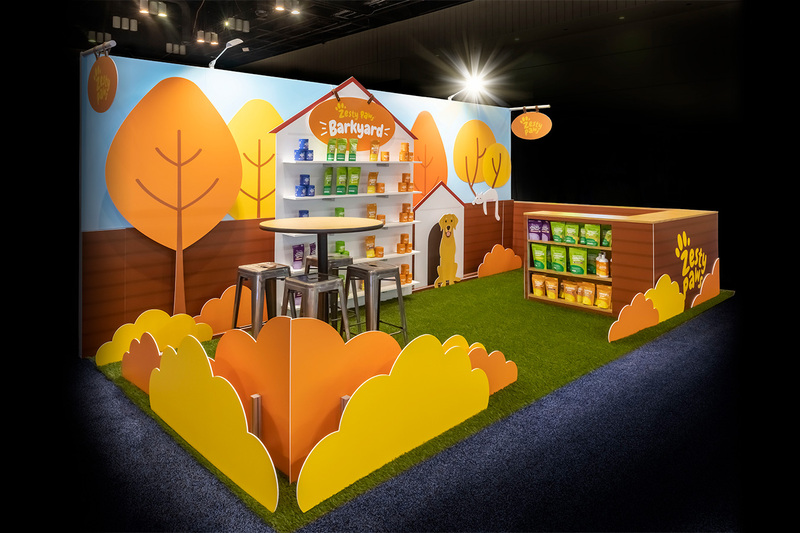 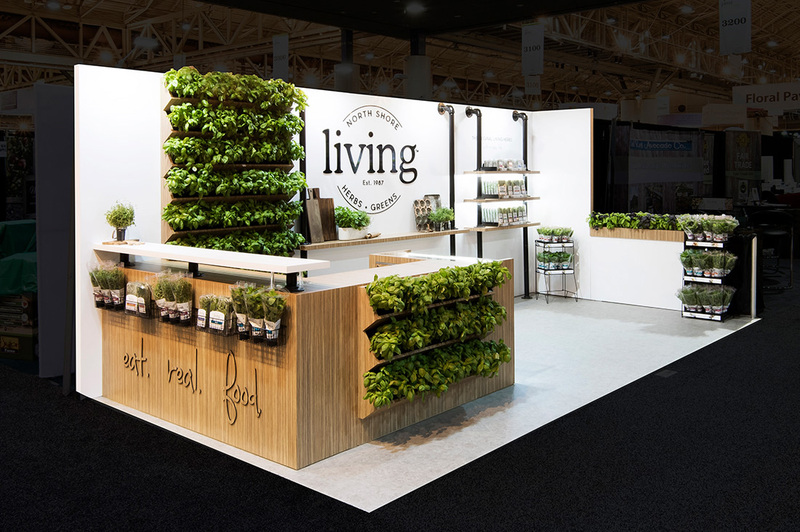 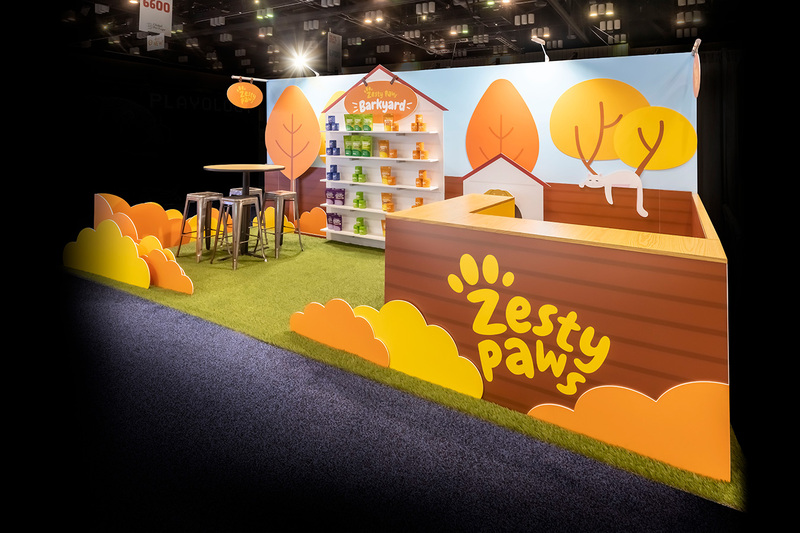 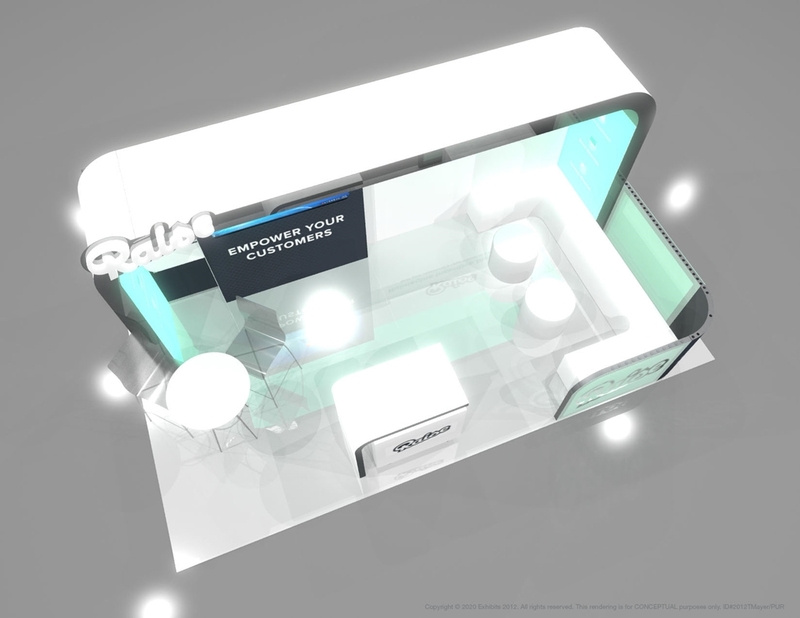 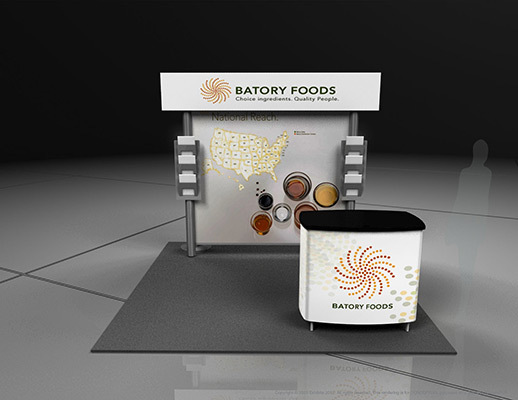 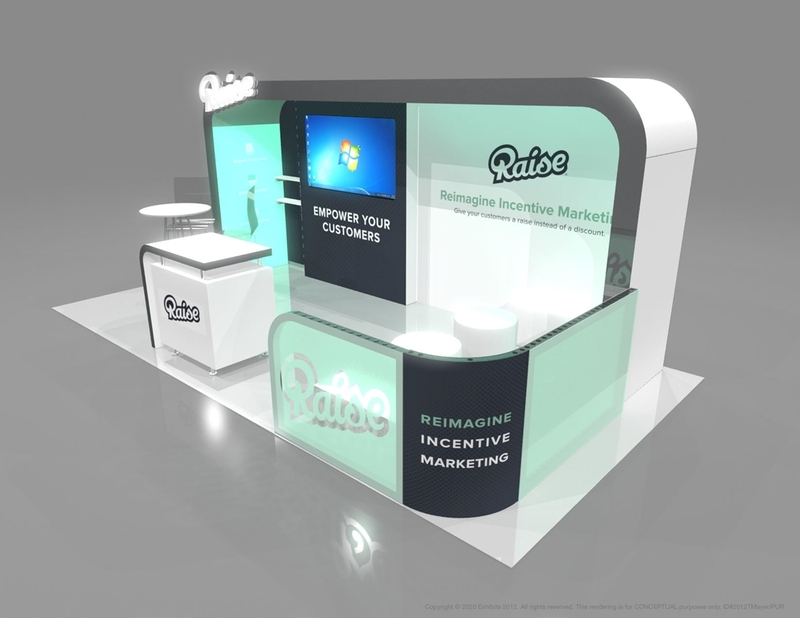 Engaging graphic designs and shapes compels the attention of attendees with no extra clutter or extraneous pieces to distract from the primary focus. 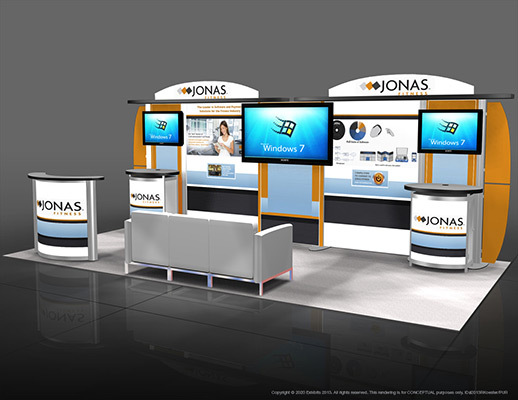 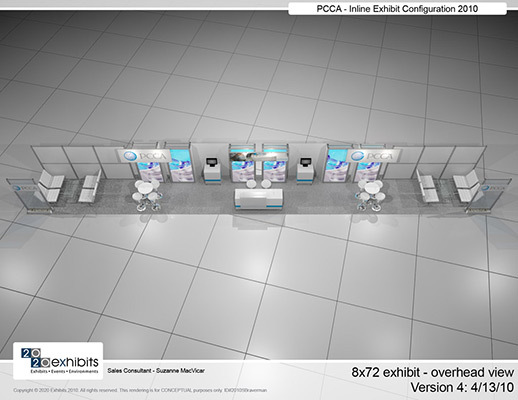 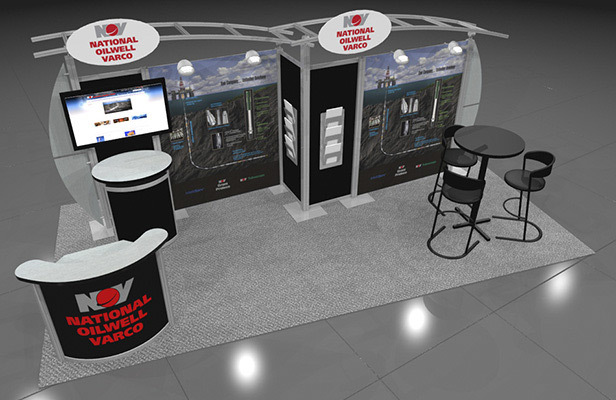 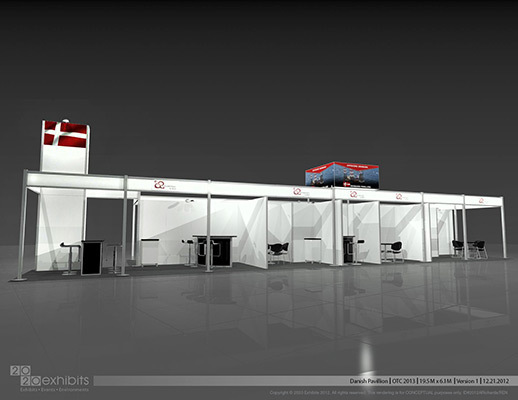 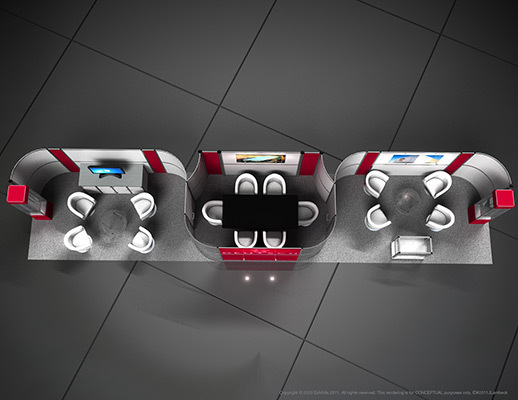 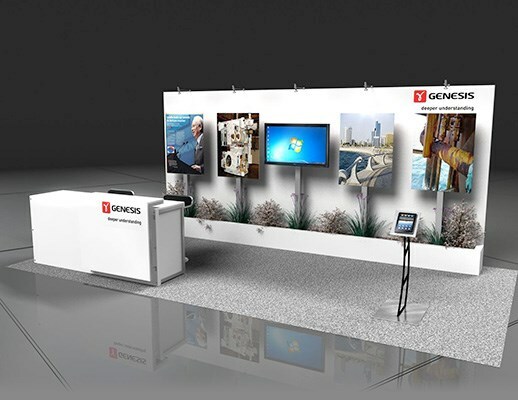 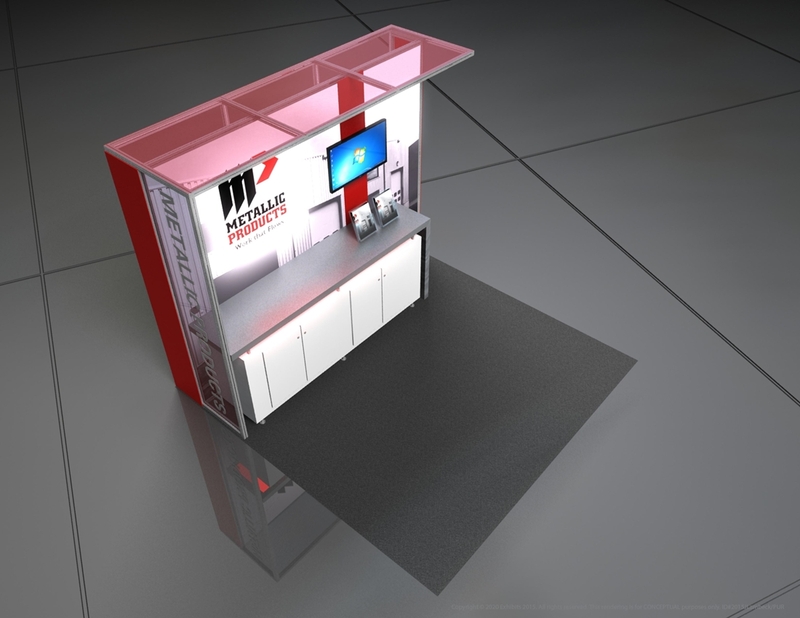 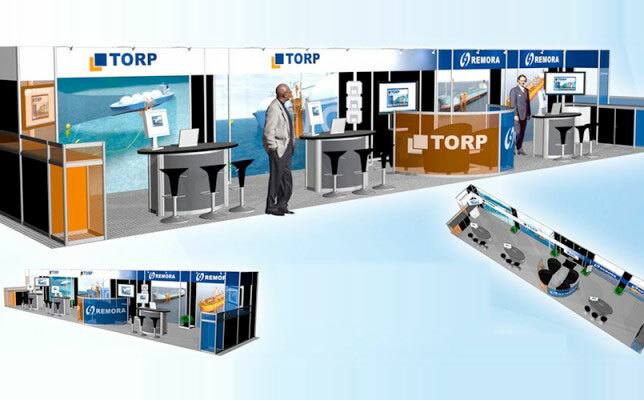 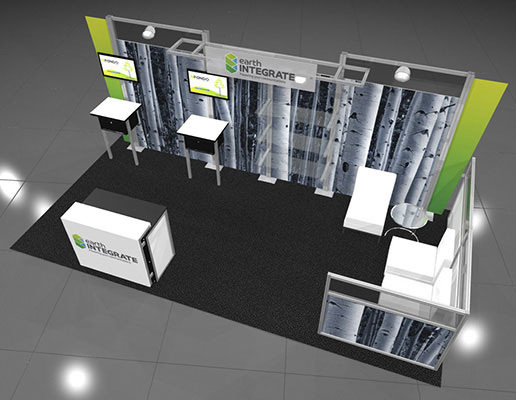 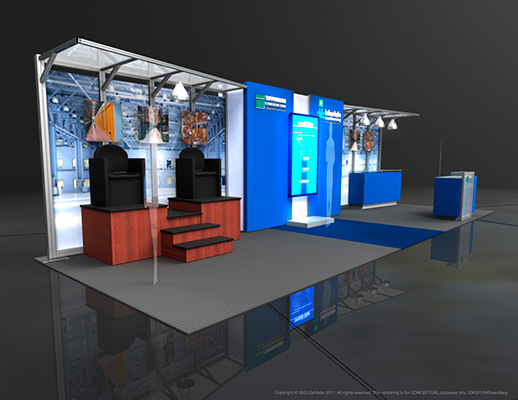 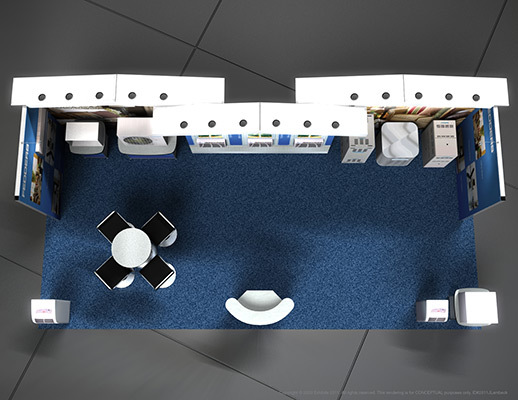 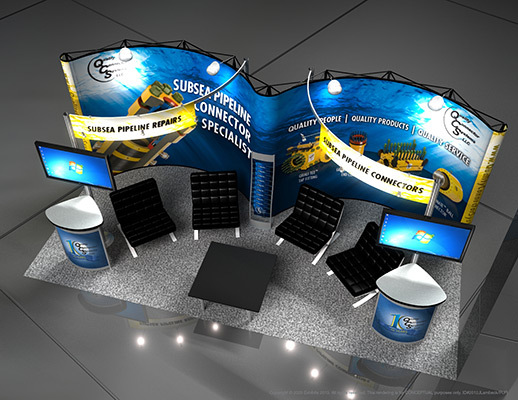 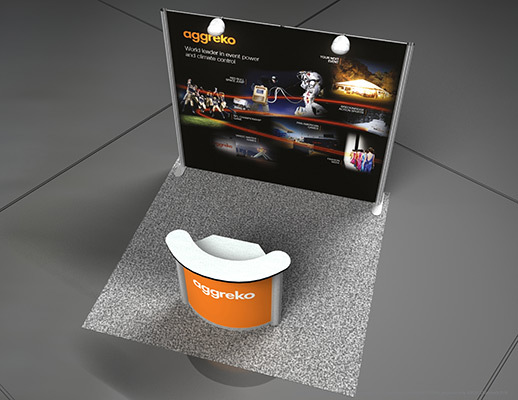 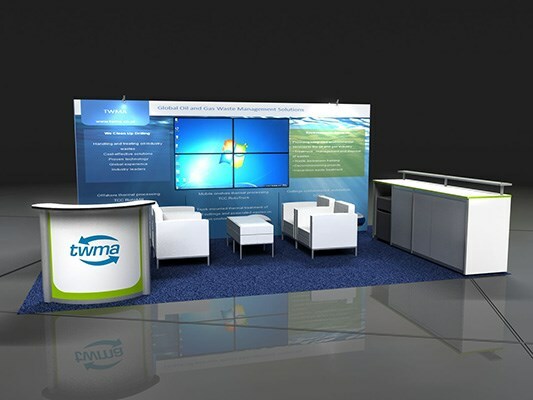 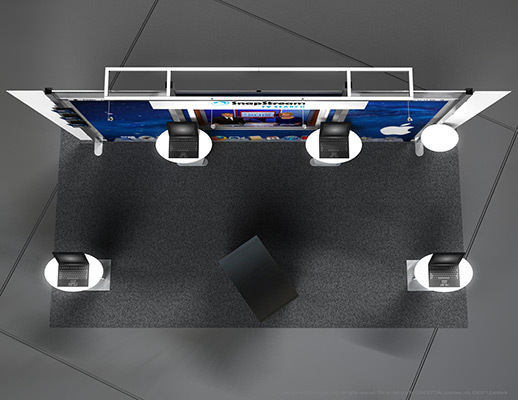 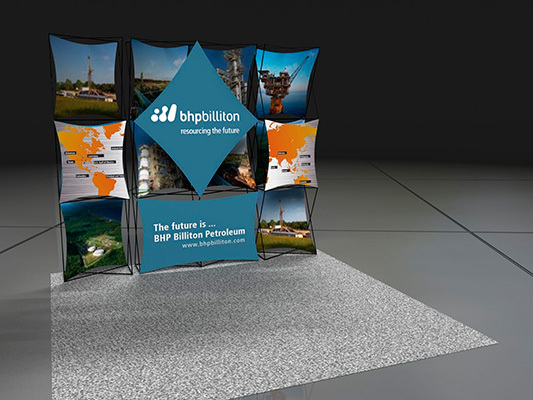 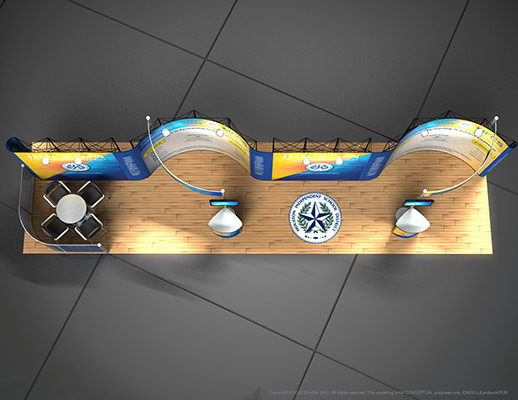 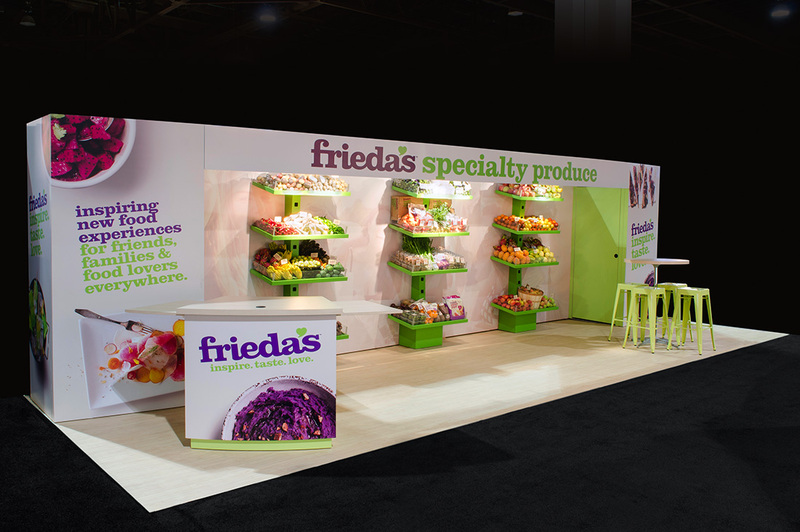 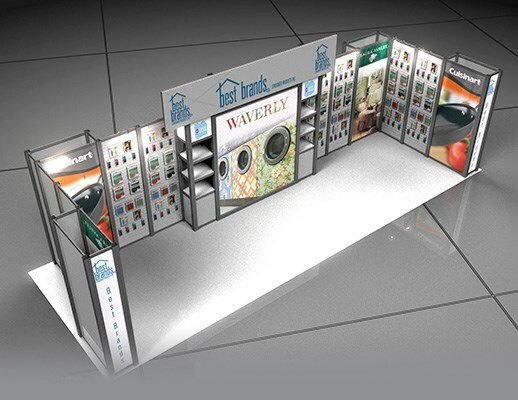 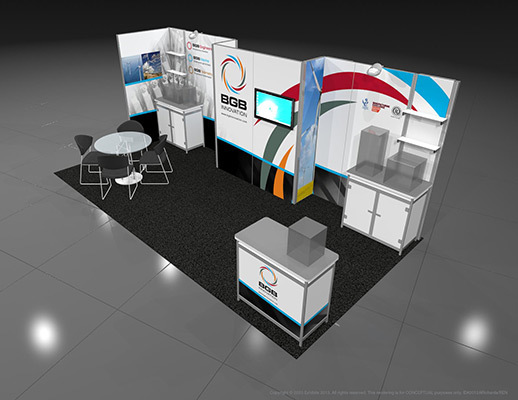 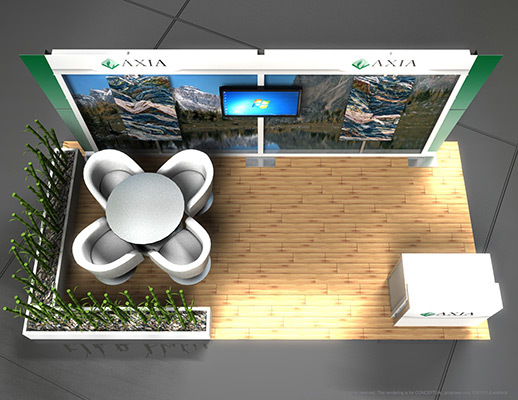 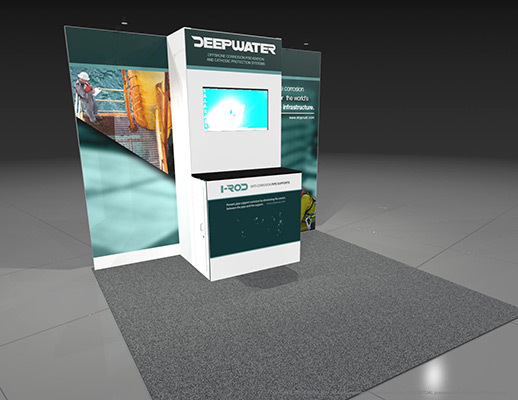 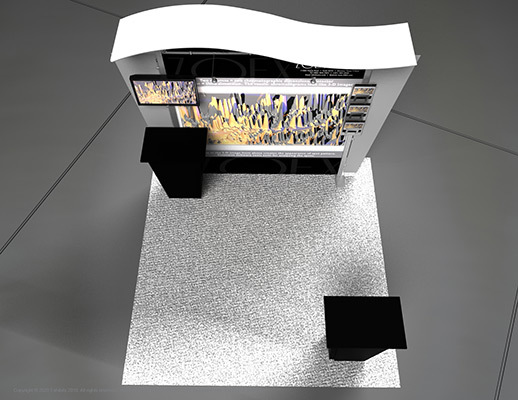 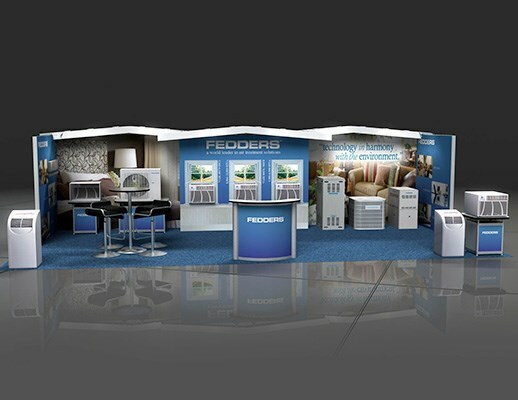 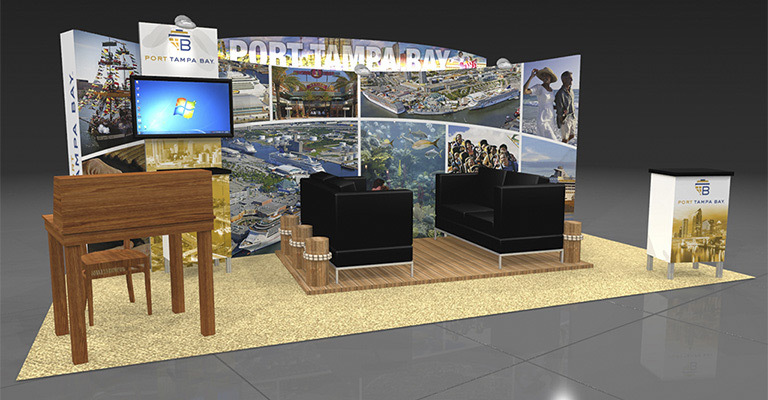 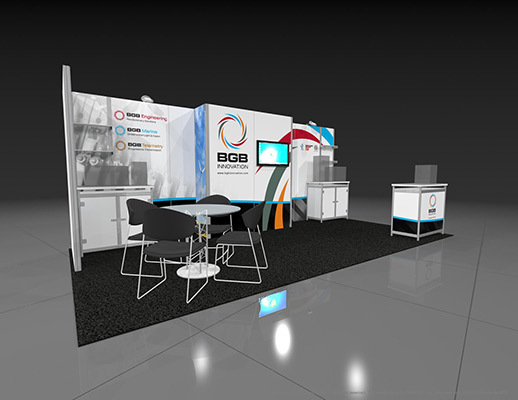 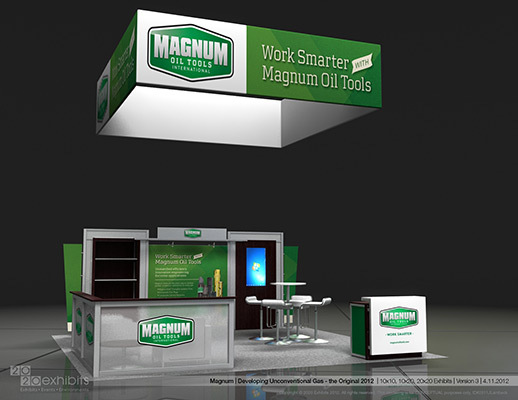 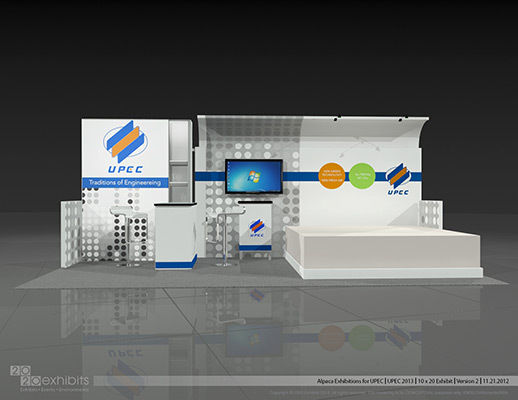 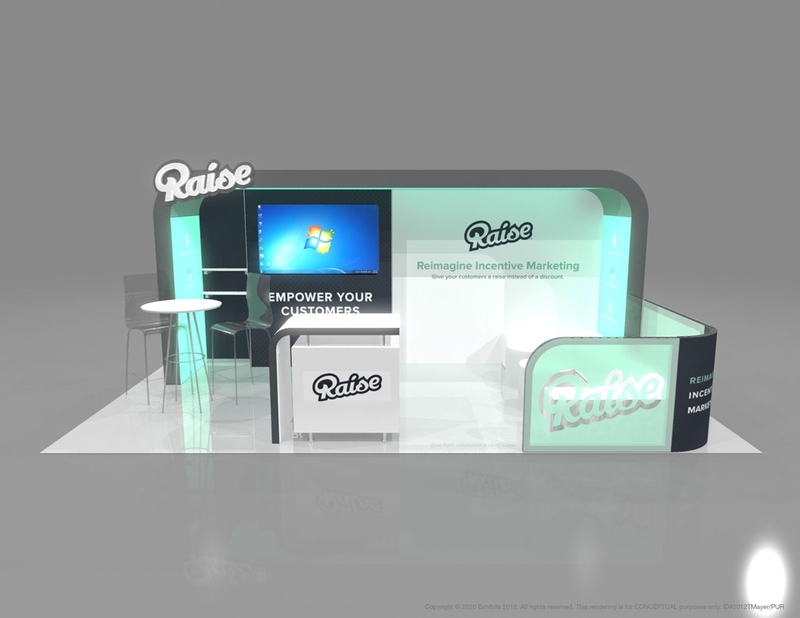 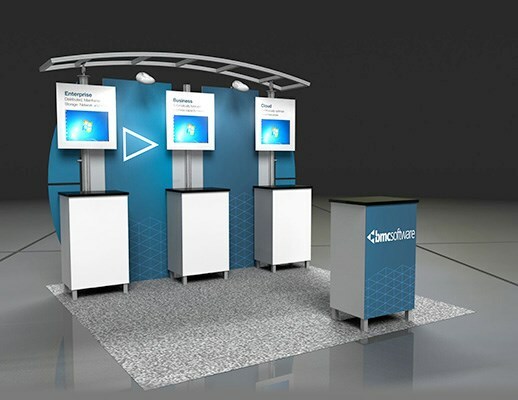 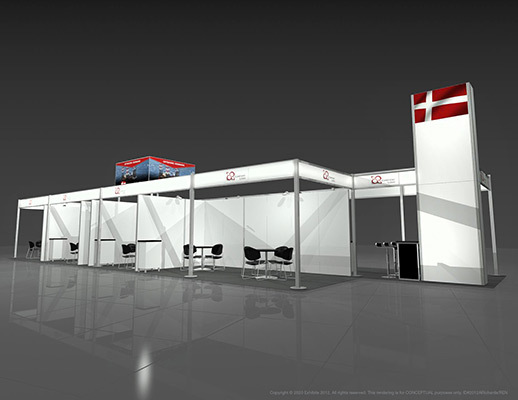 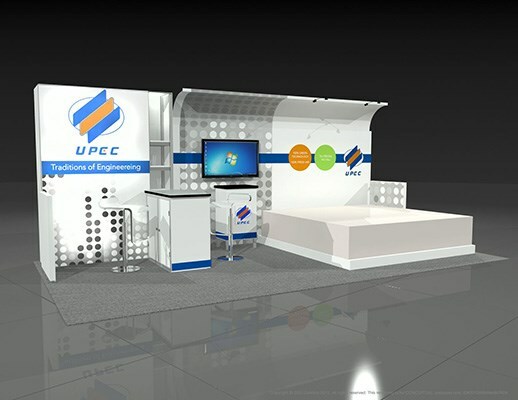 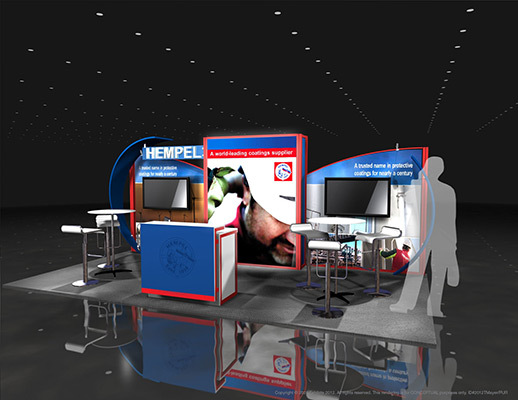 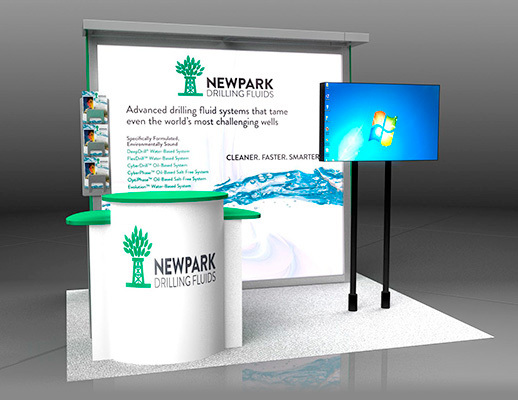 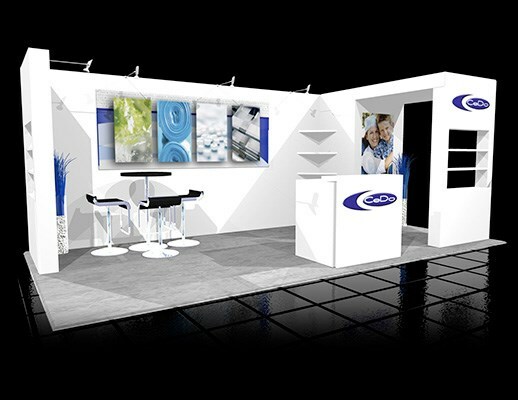 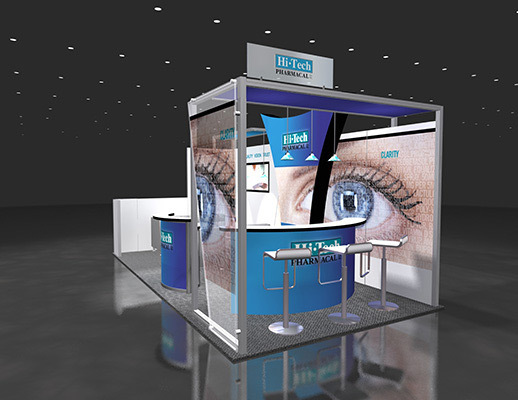 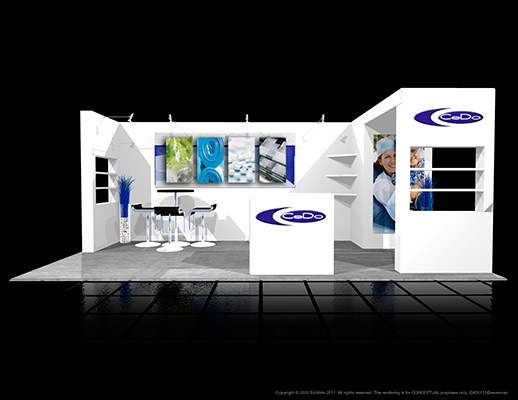 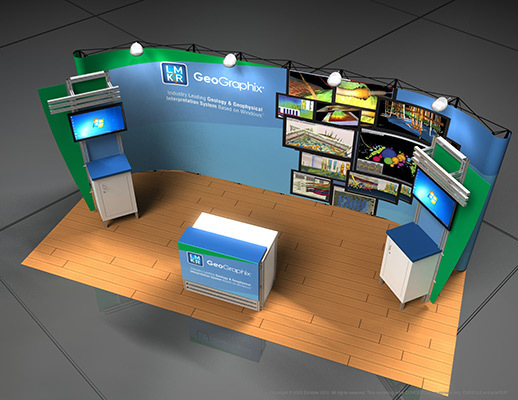 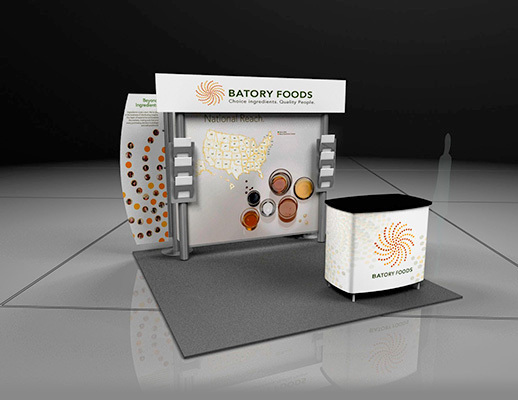 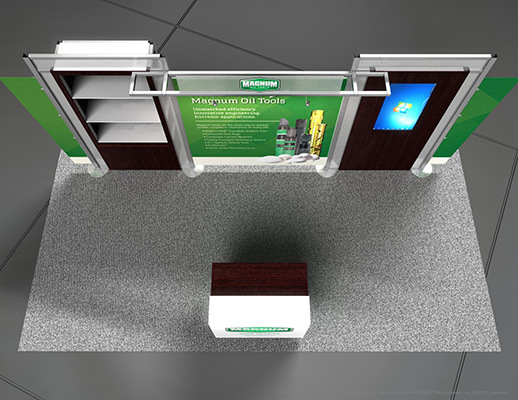 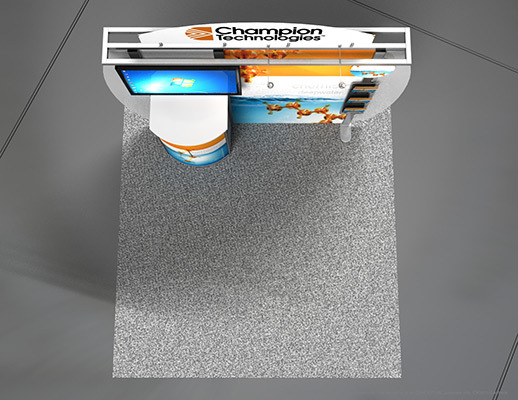 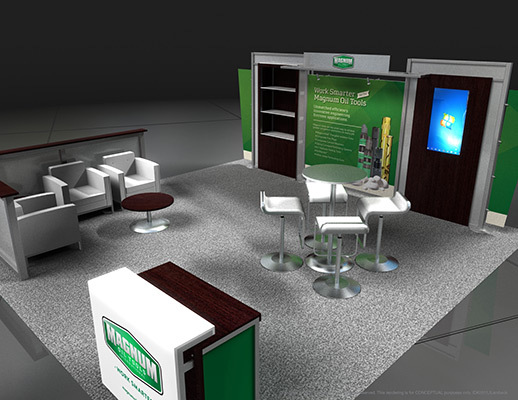 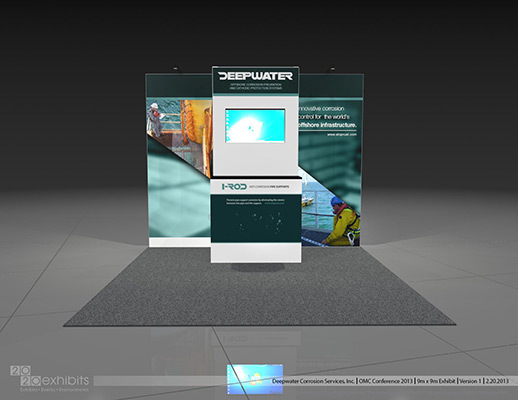 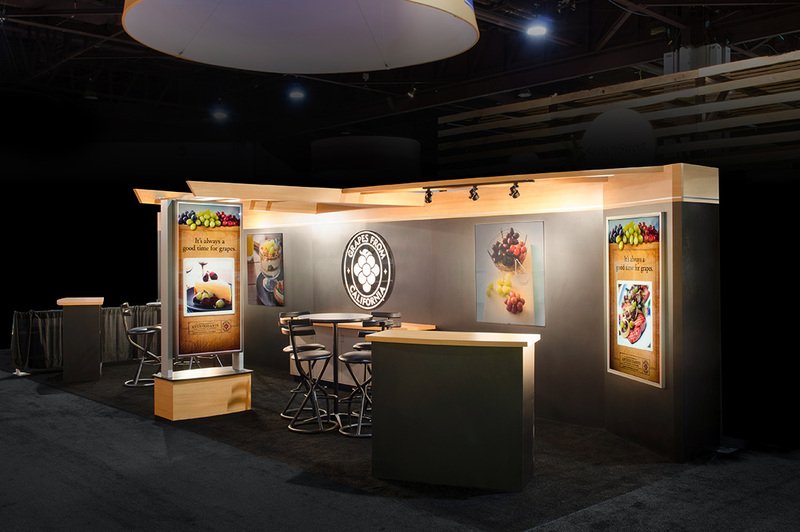 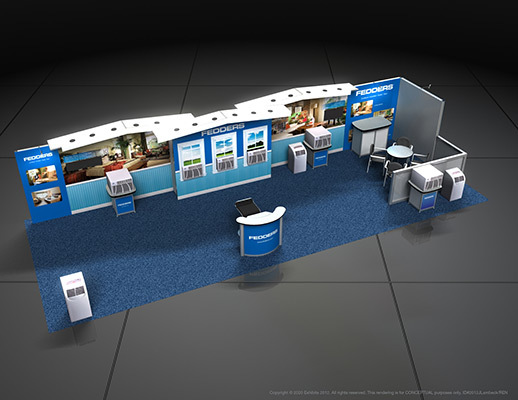 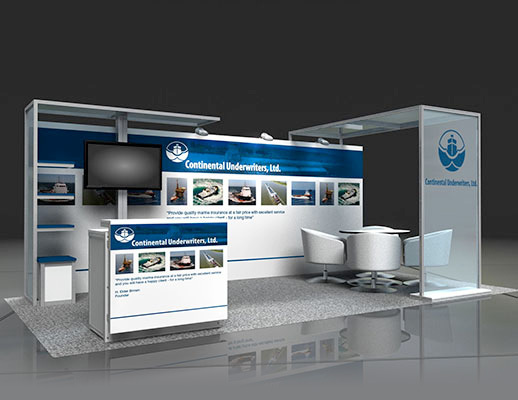 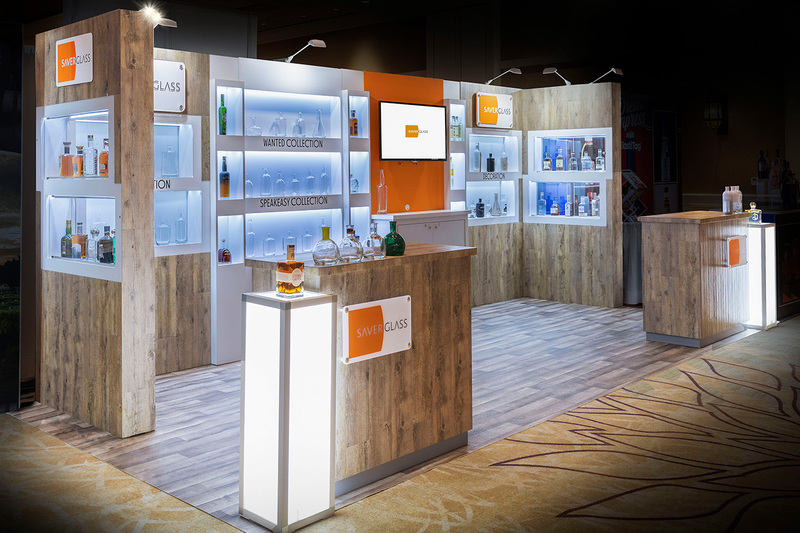 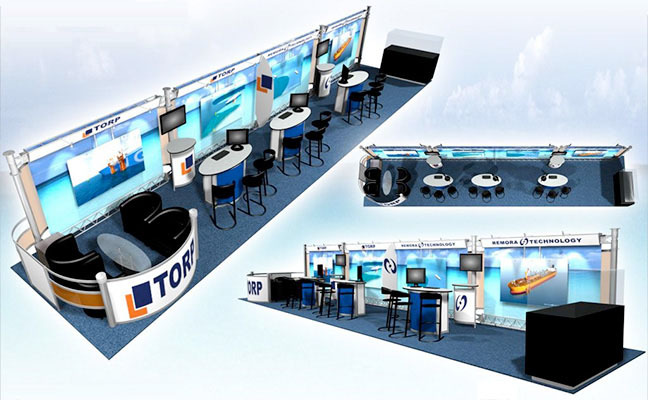 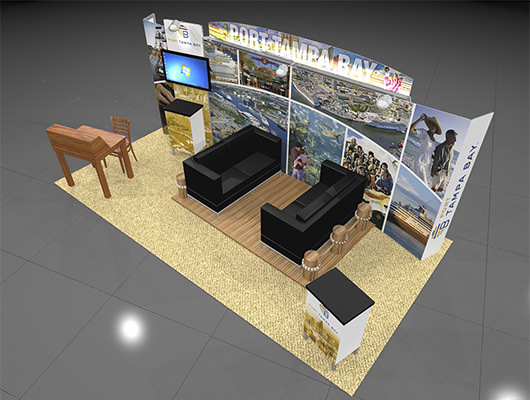 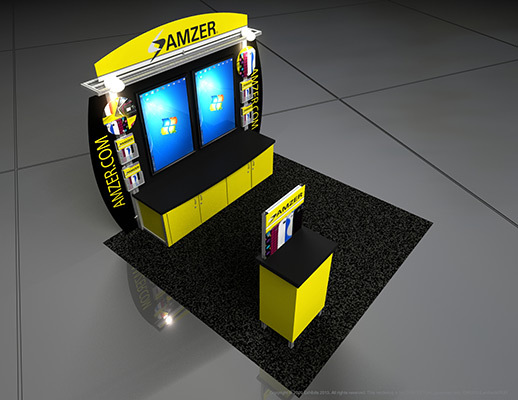 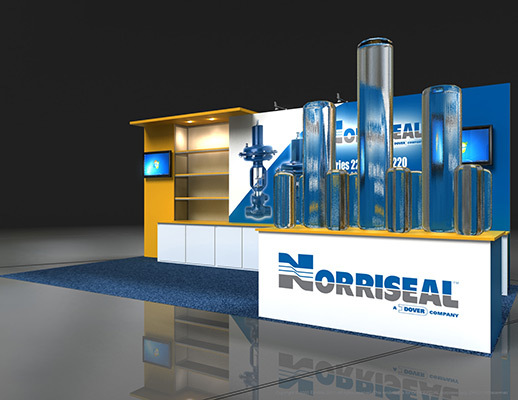 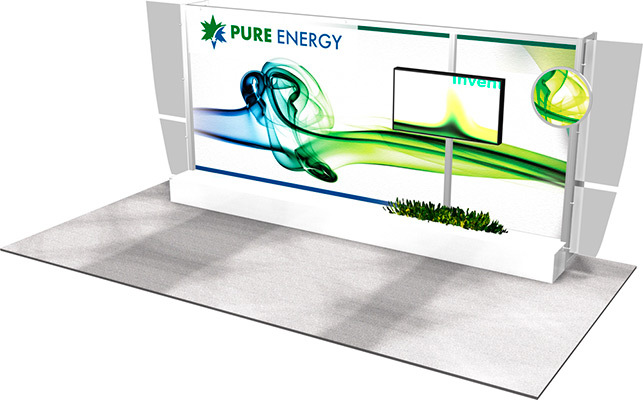 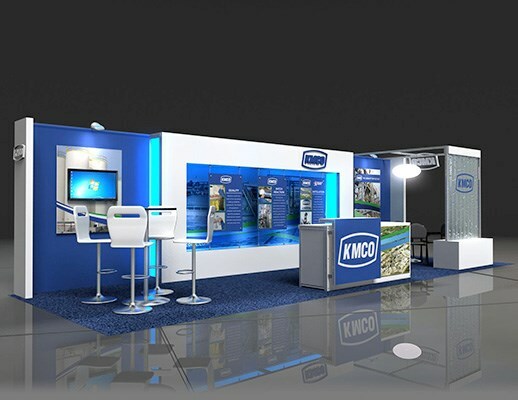 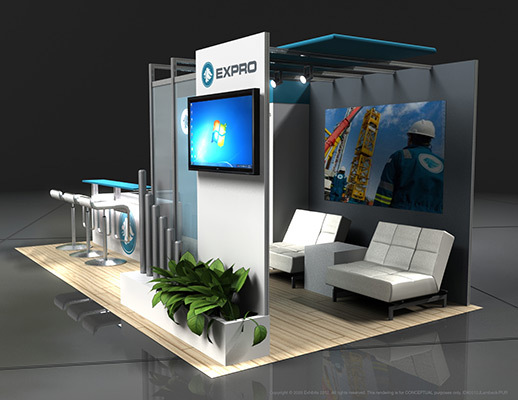 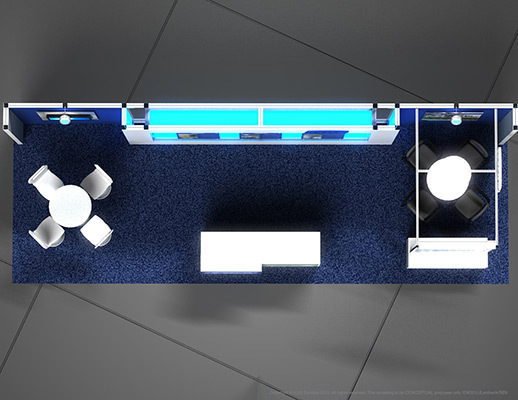 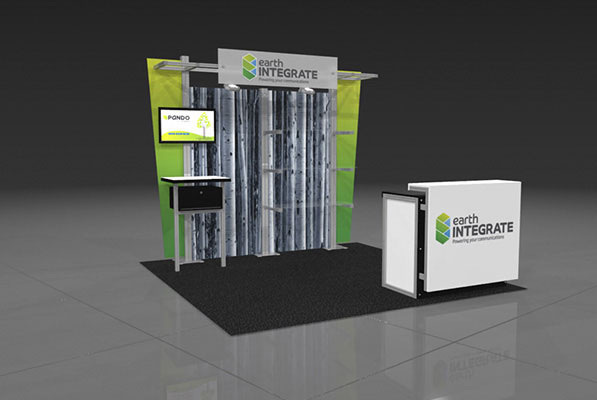 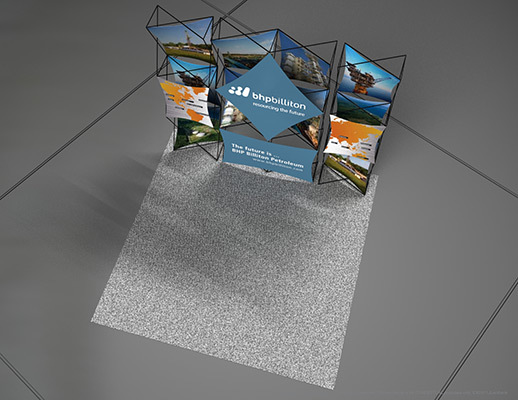 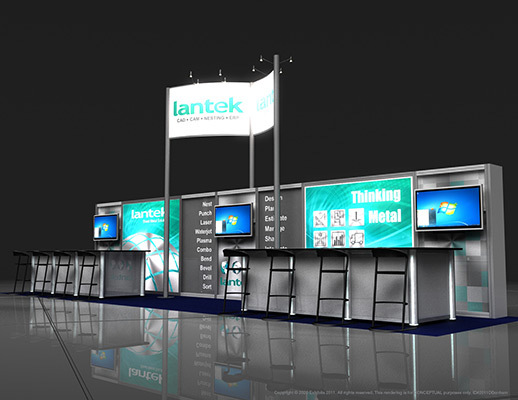 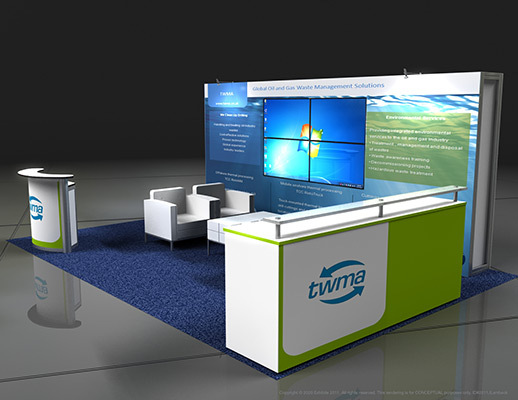 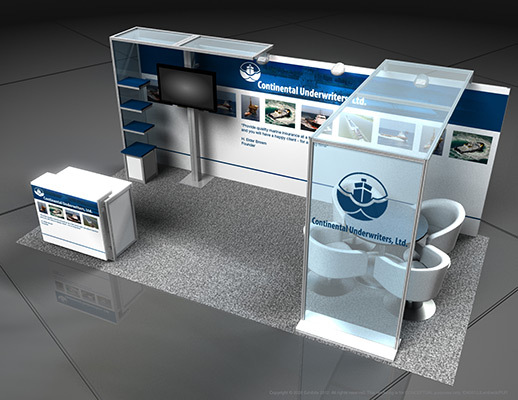 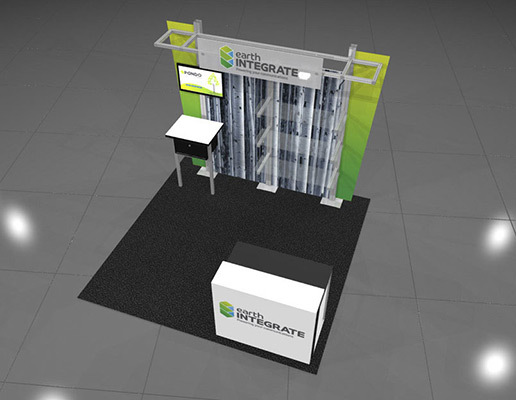 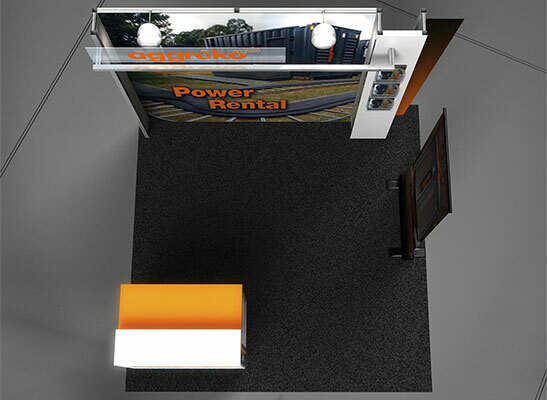 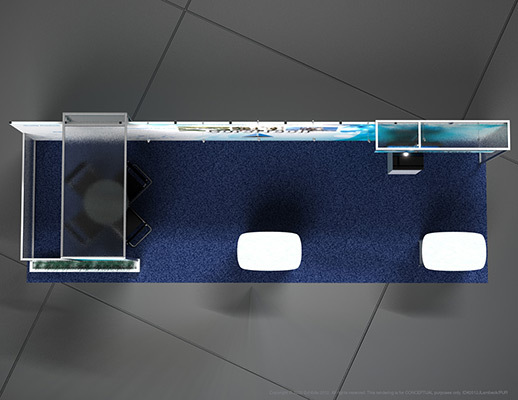 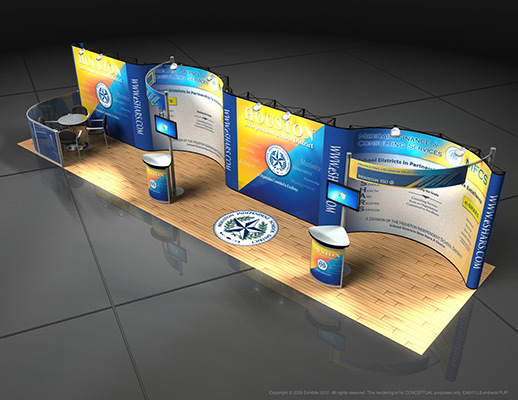 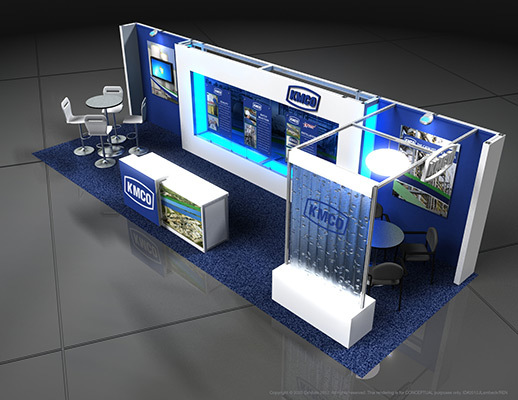 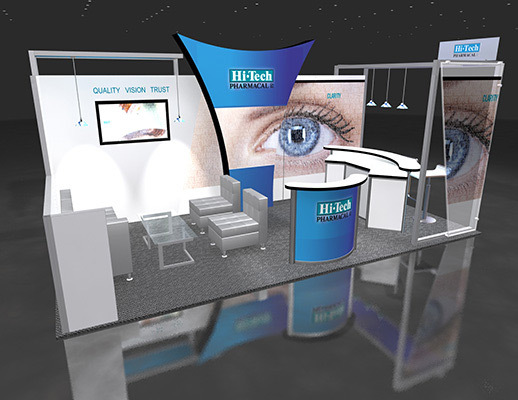 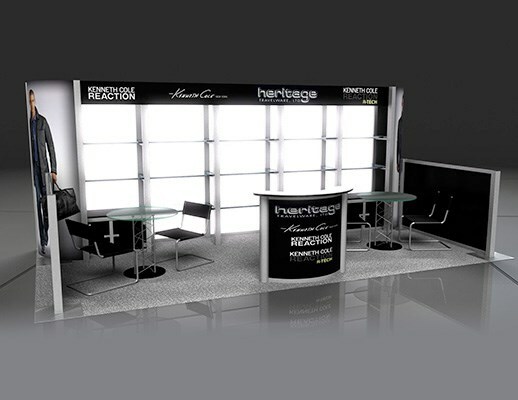 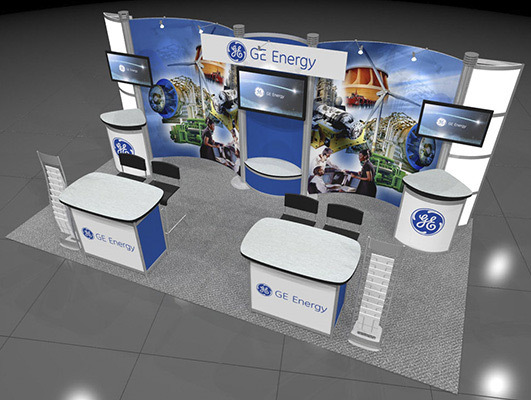 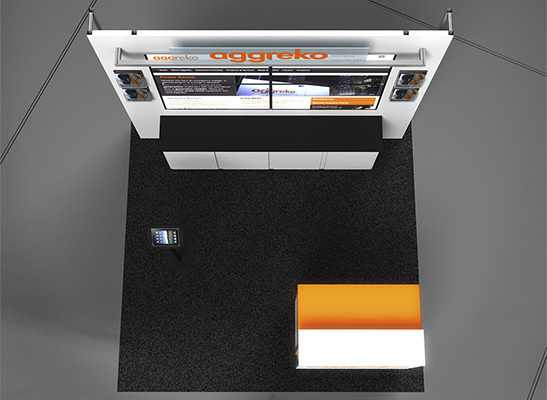 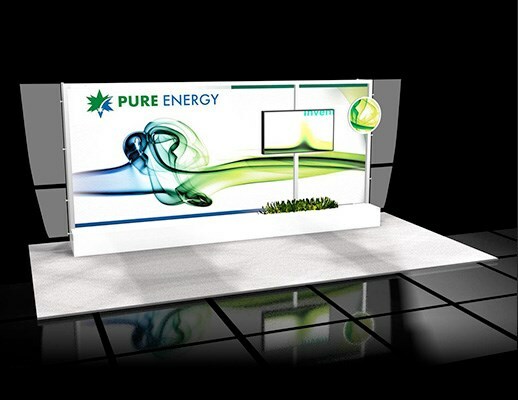 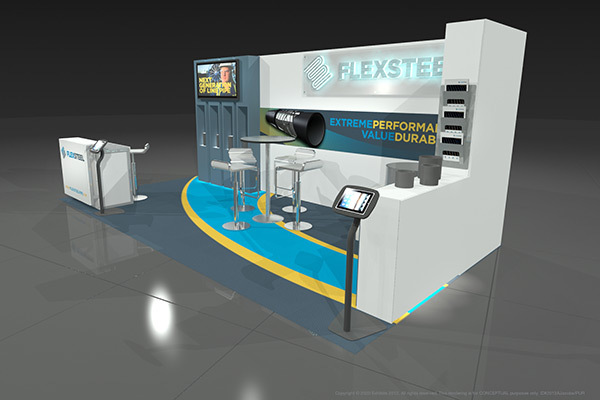 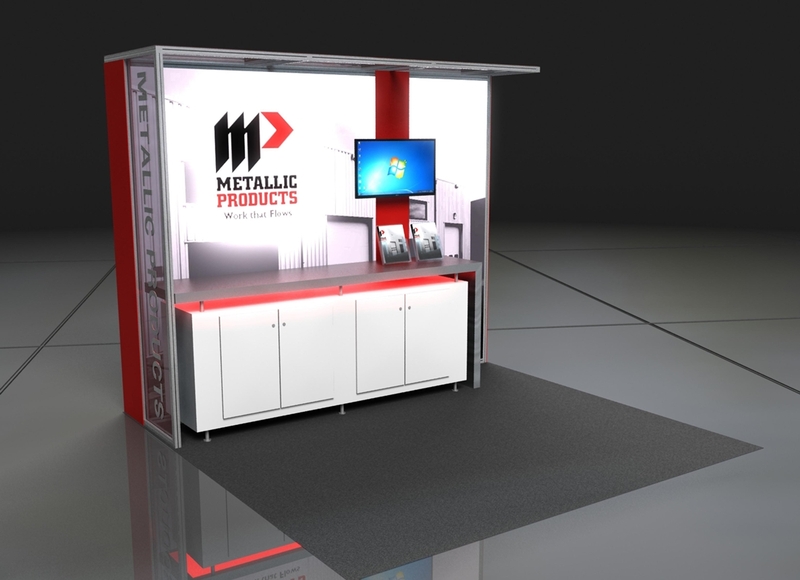 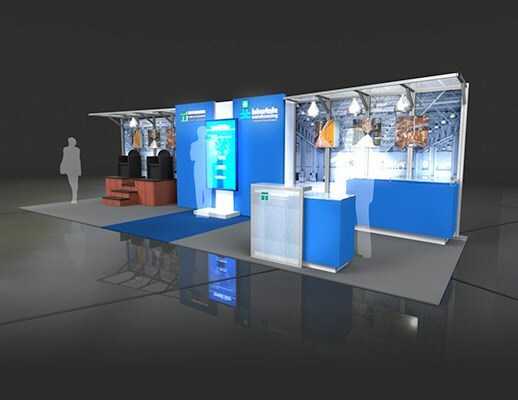 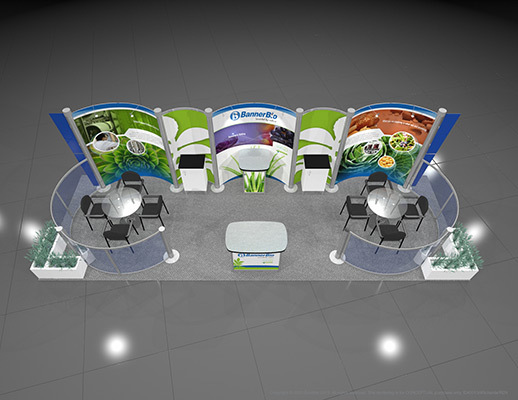 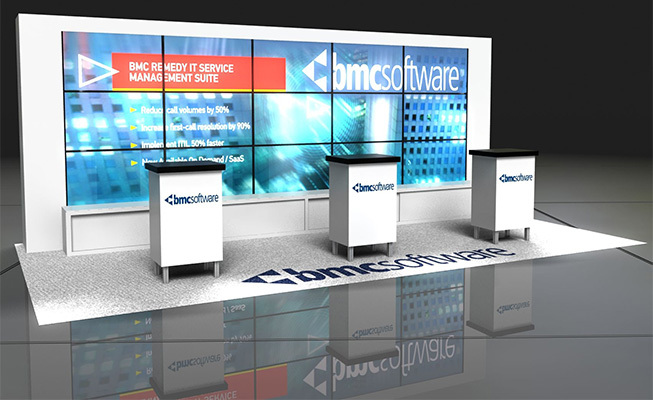 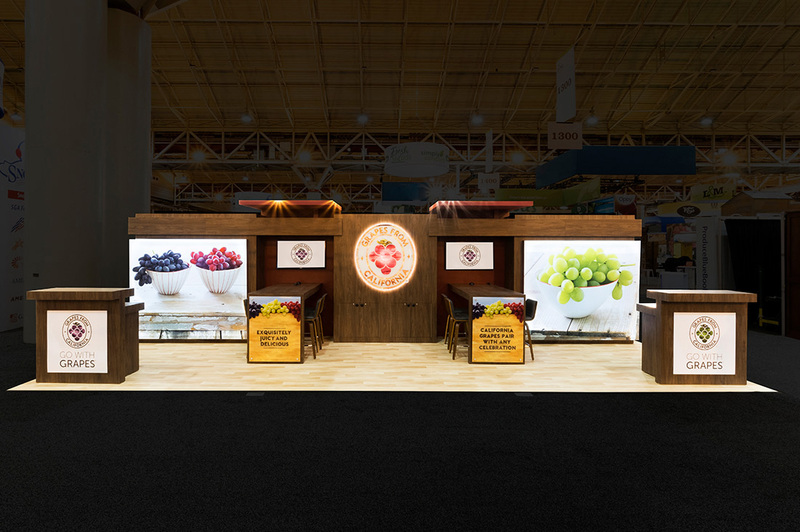 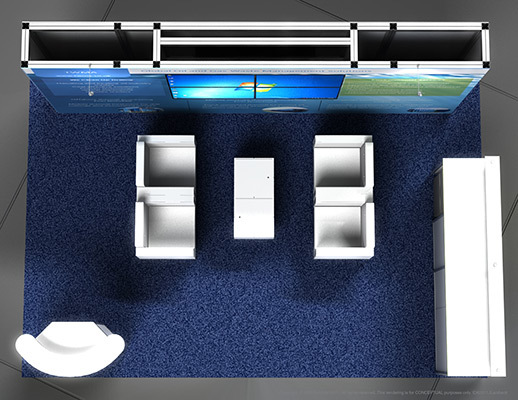 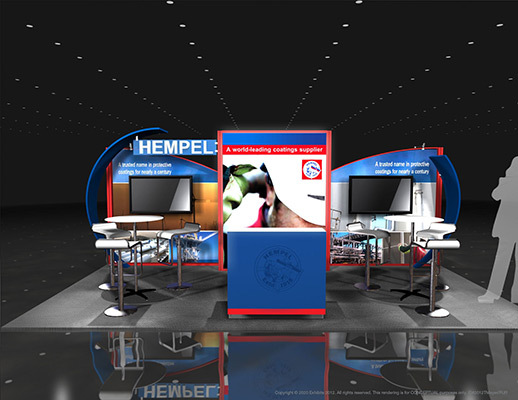 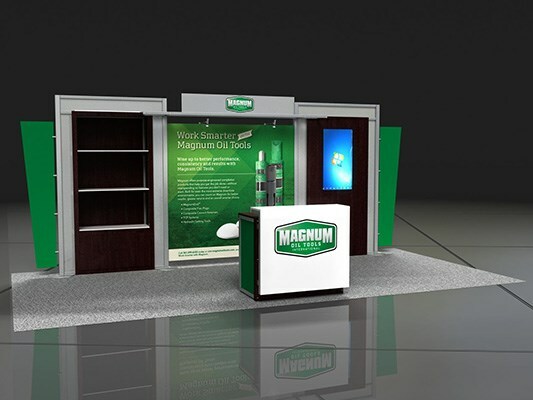 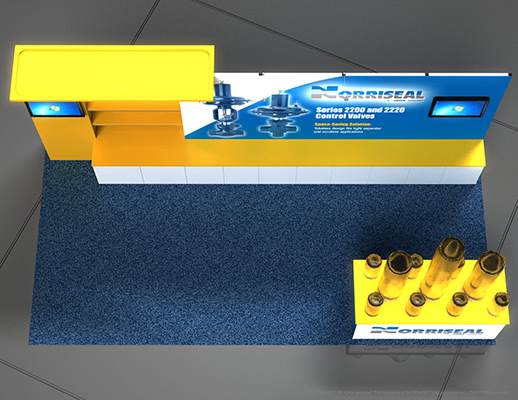 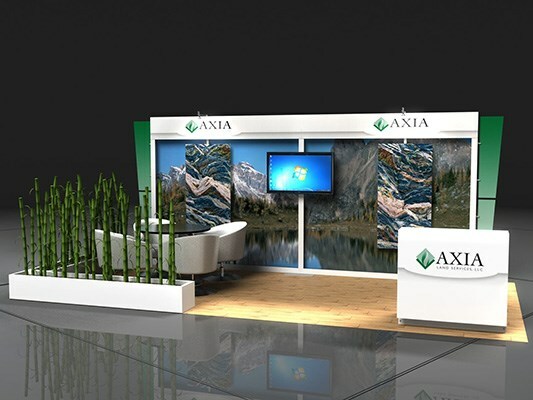 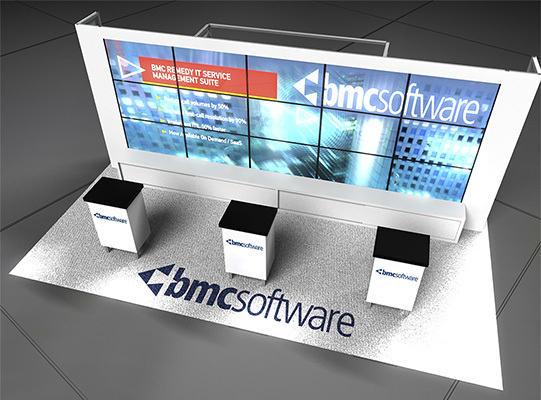 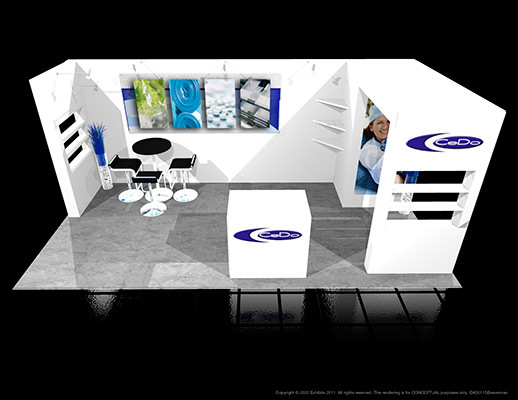 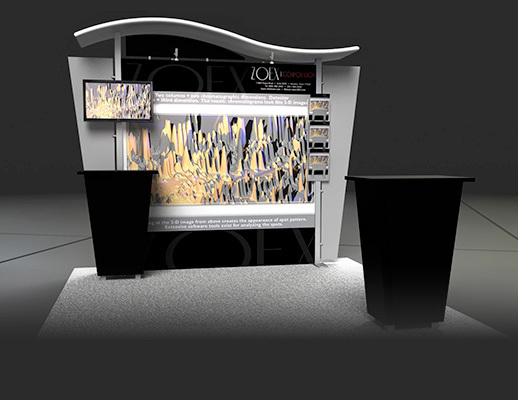 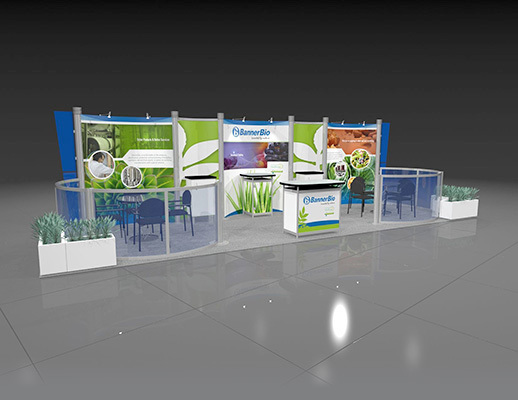 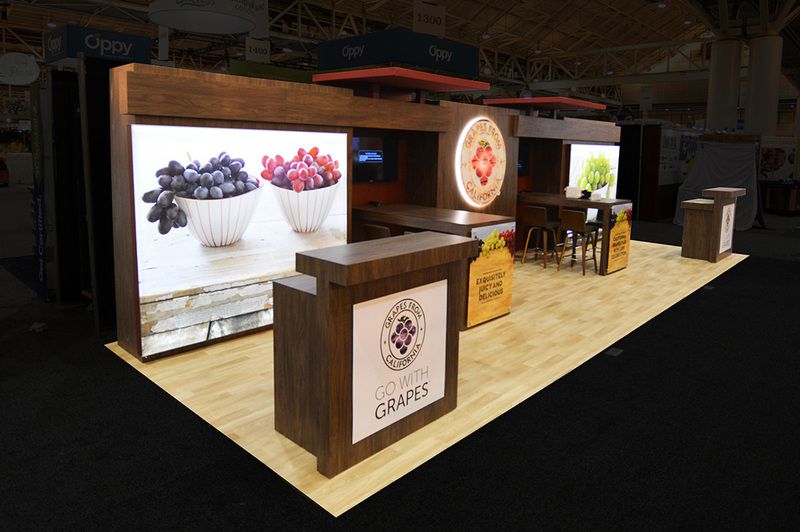 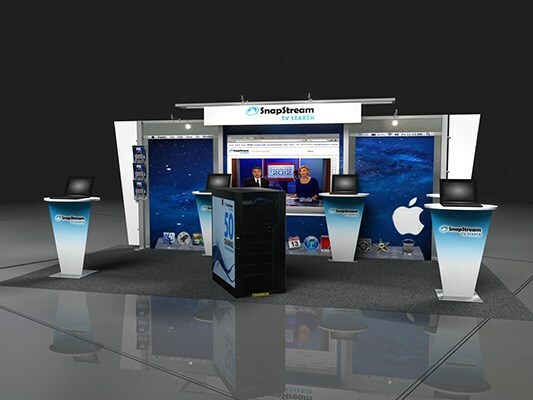 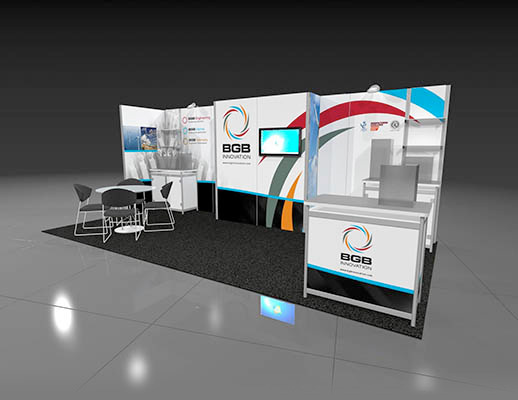 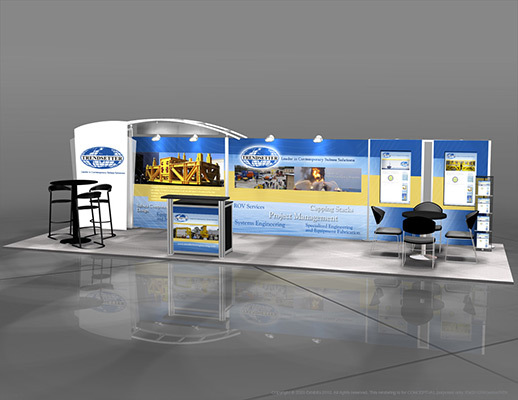 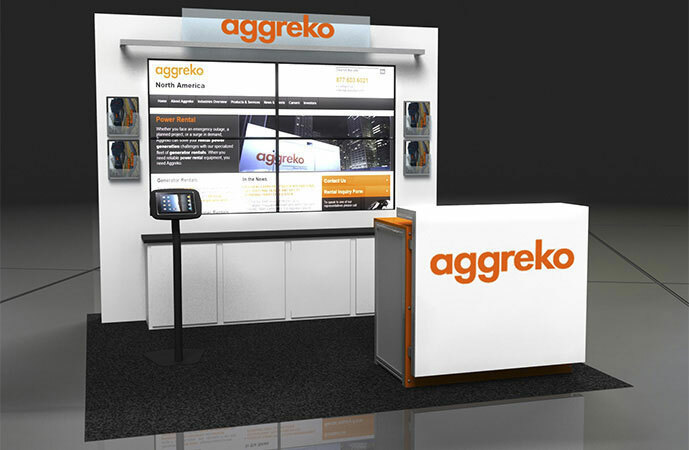 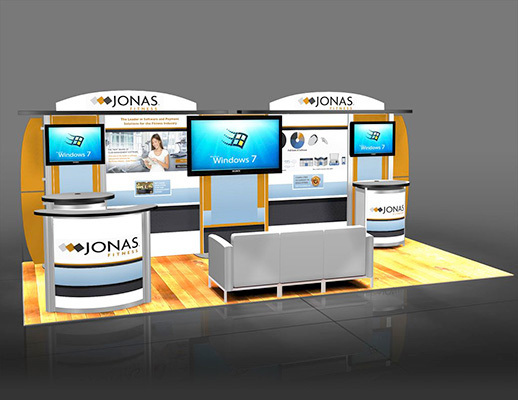 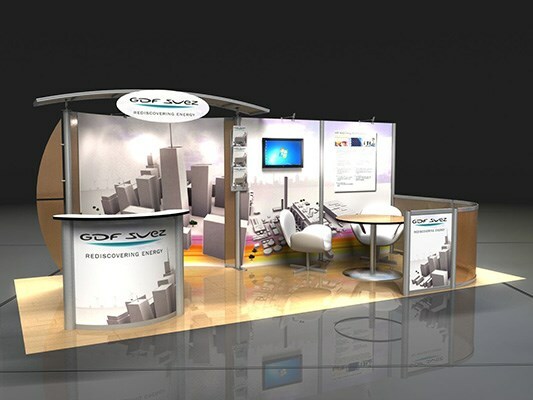 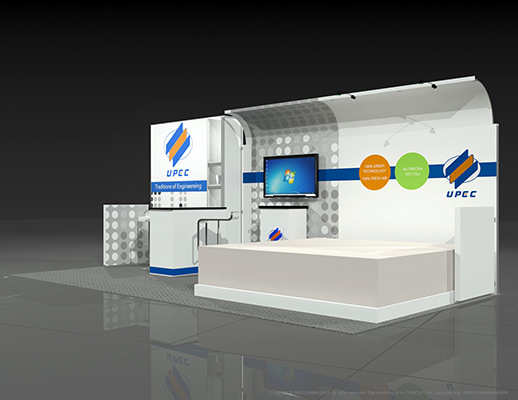 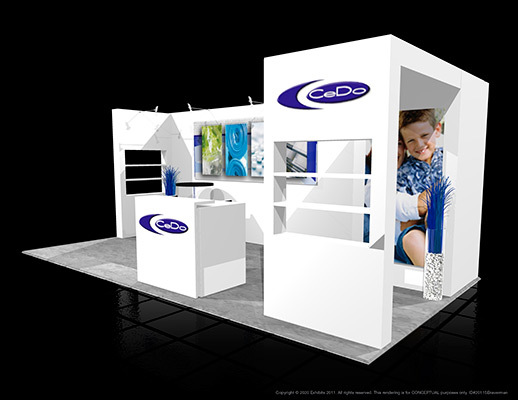 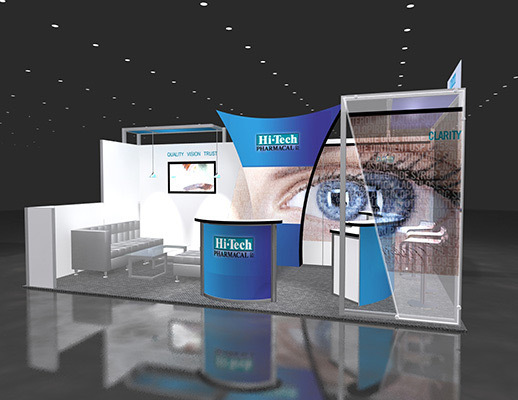 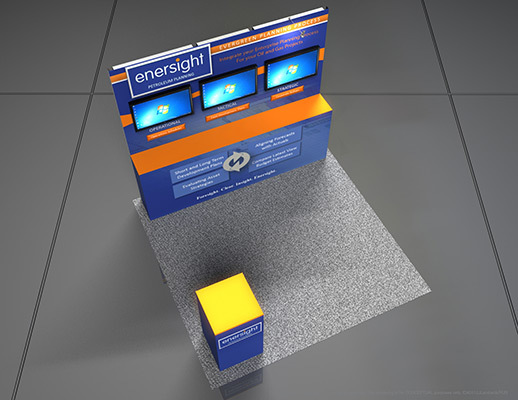 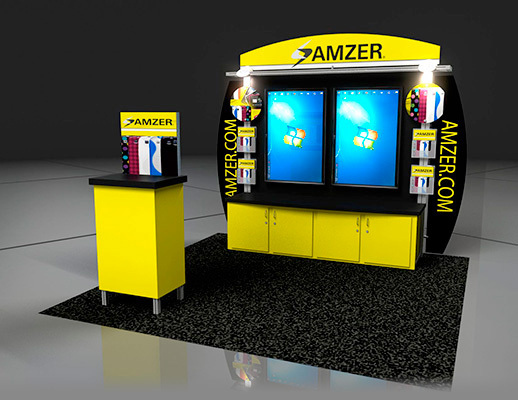 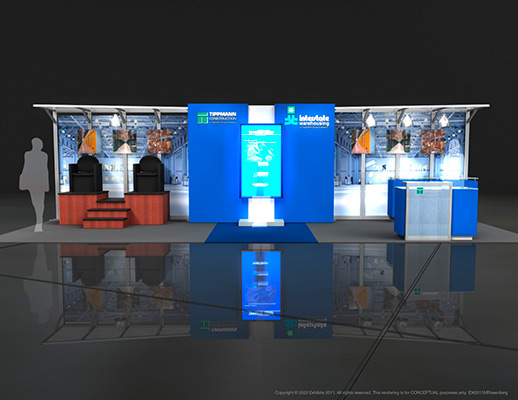 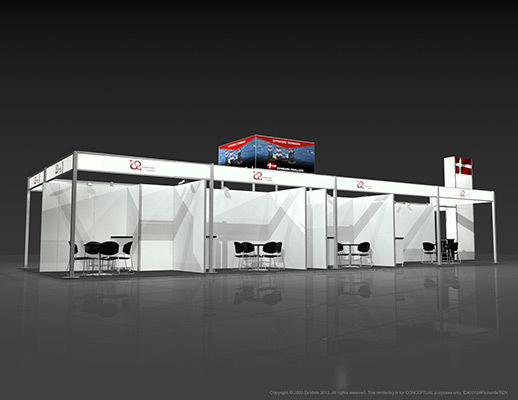 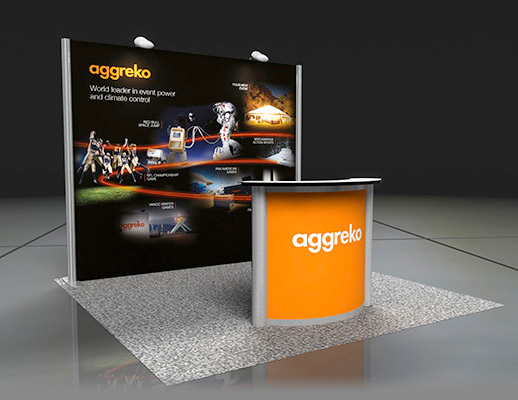 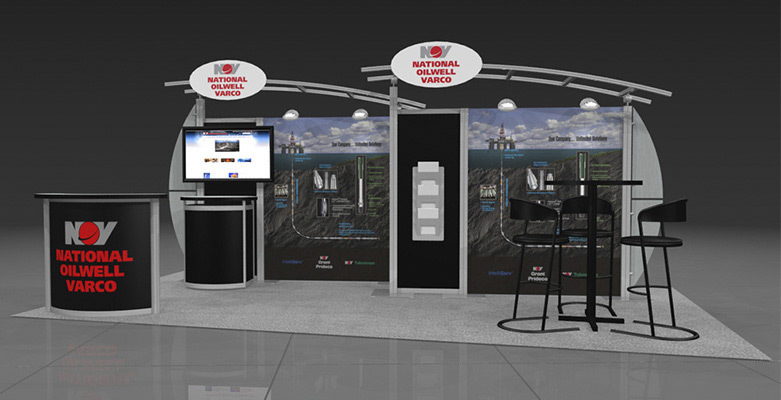 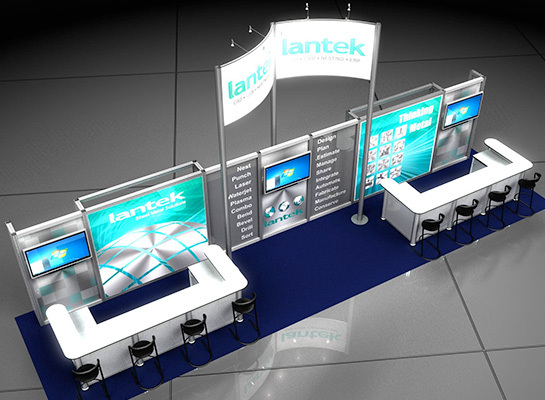 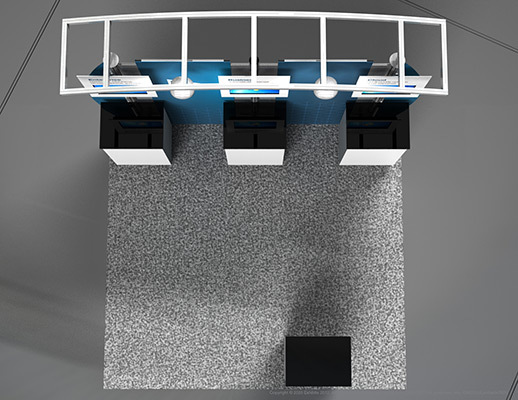 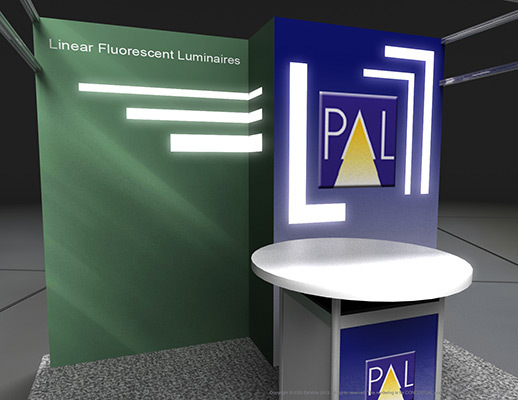 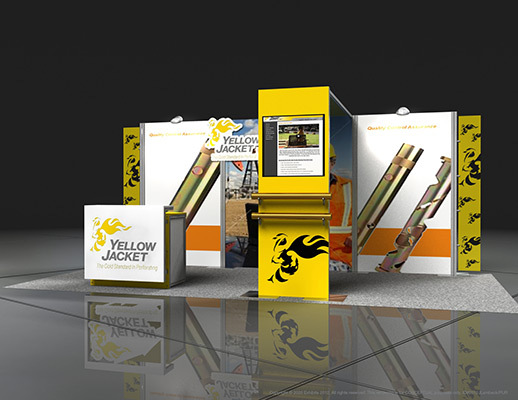 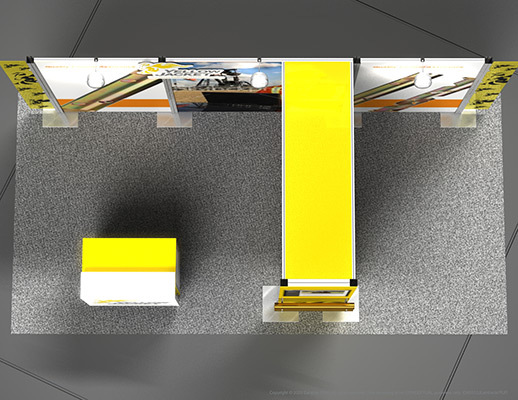 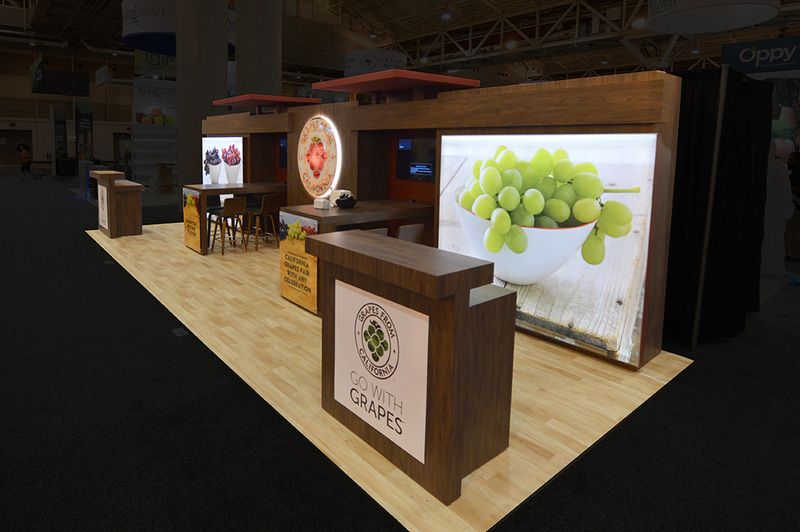 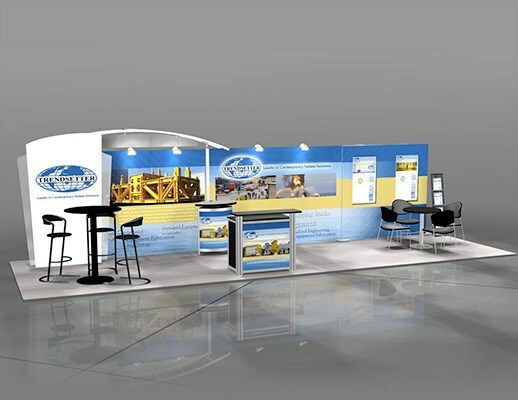 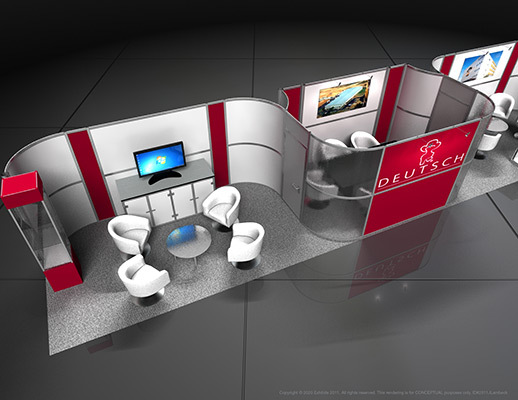 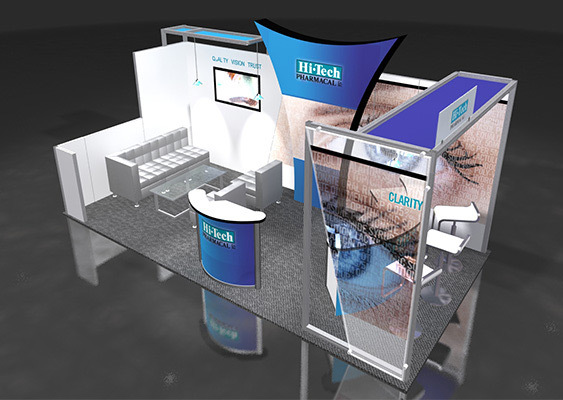 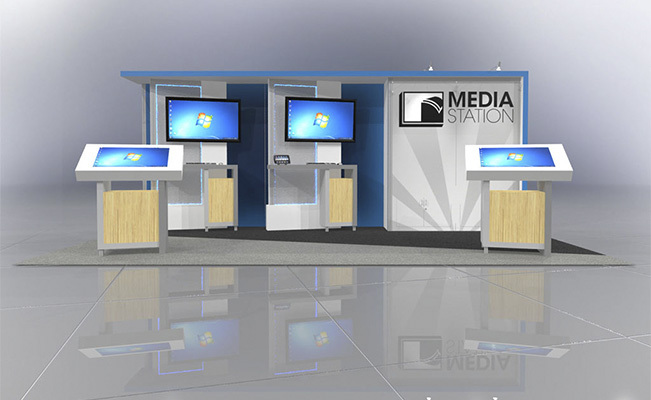 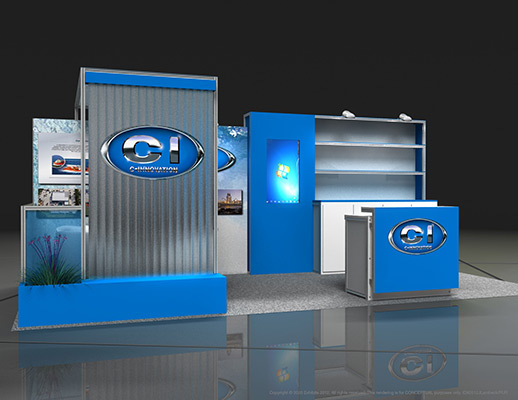 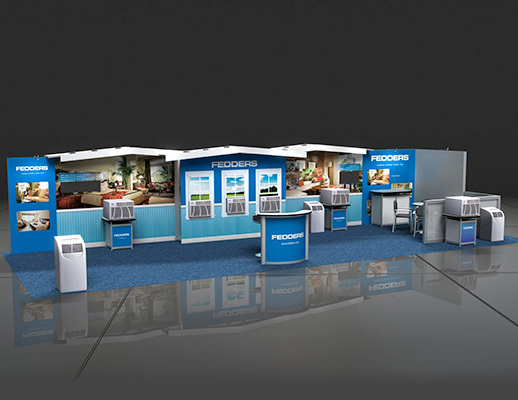 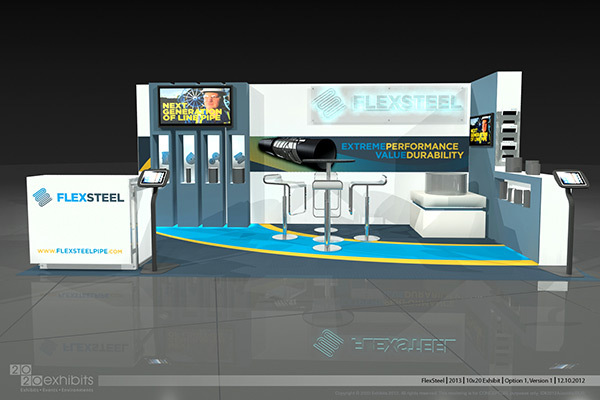 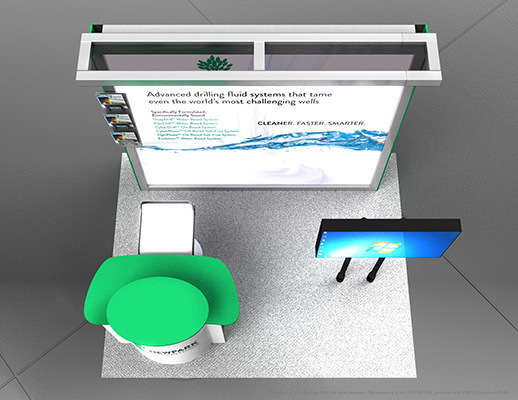 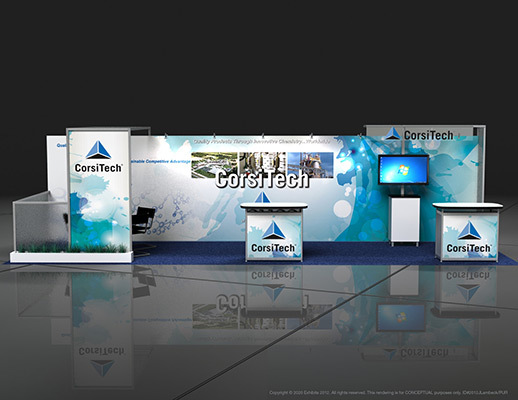 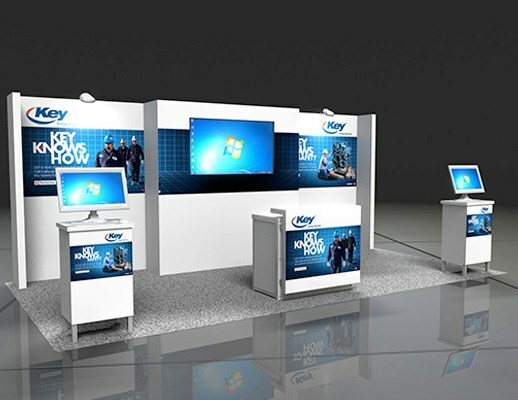 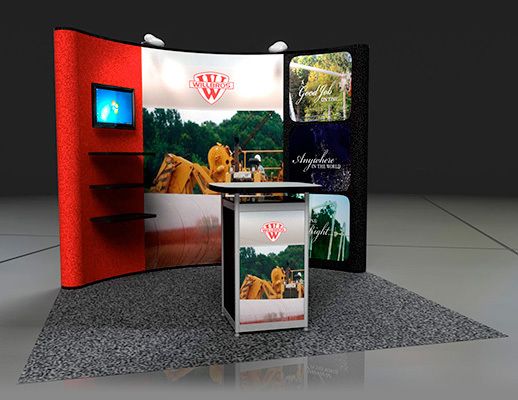 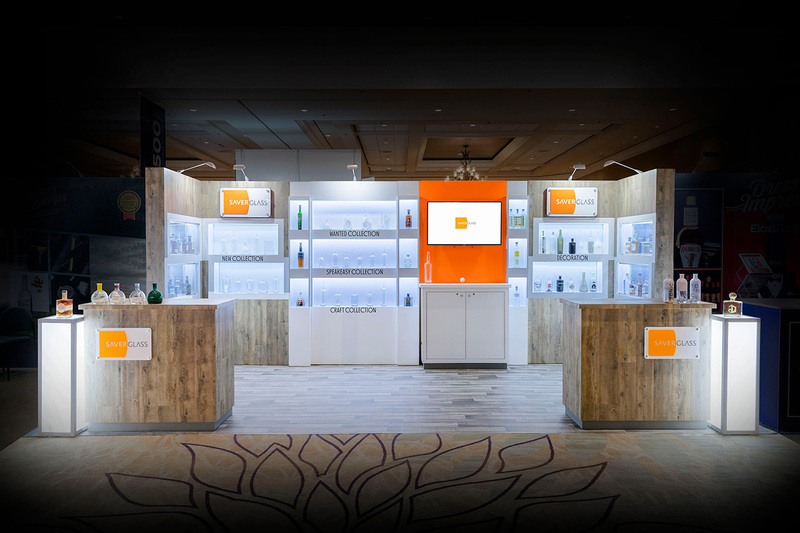 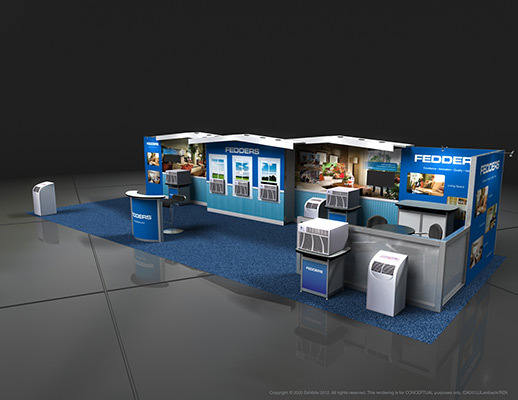 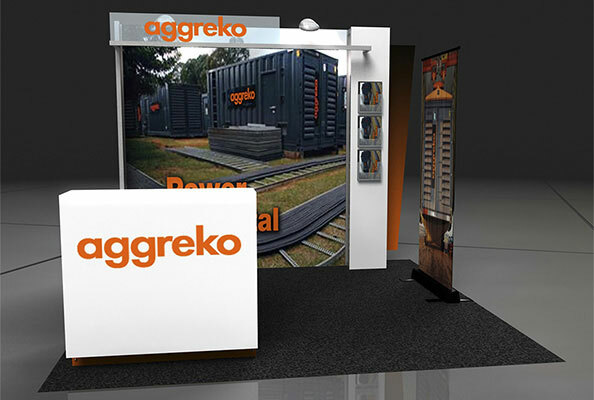 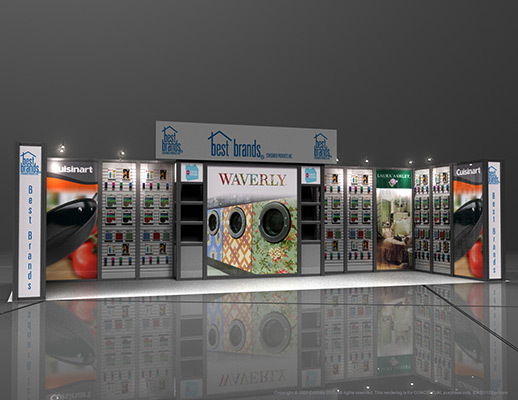 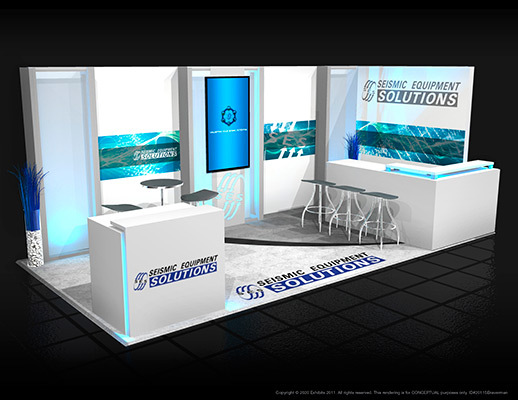 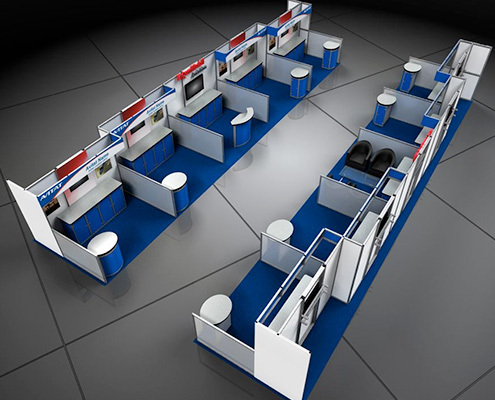 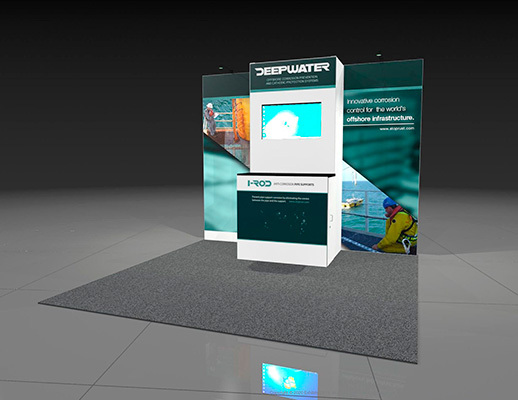 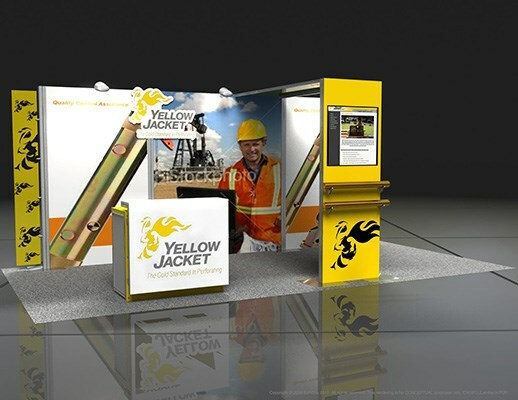 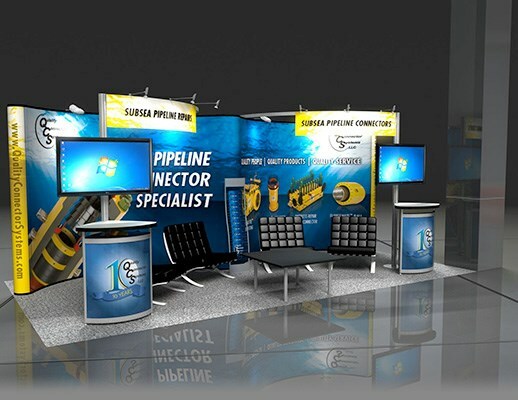 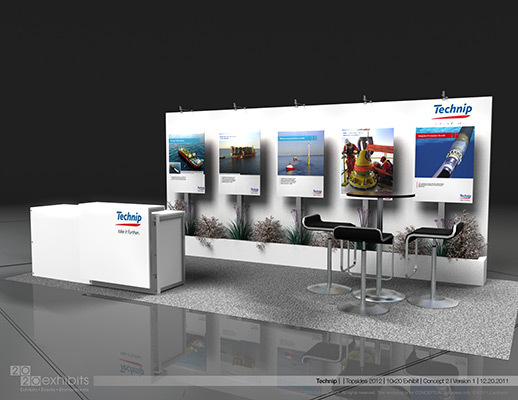 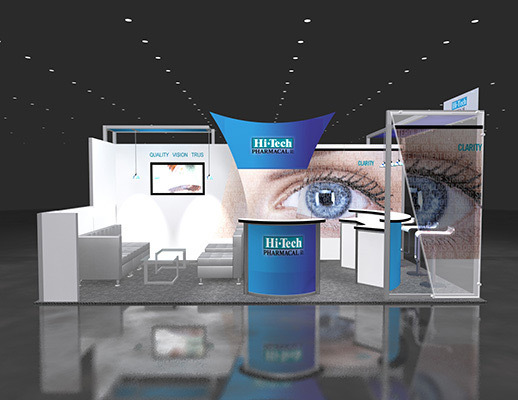 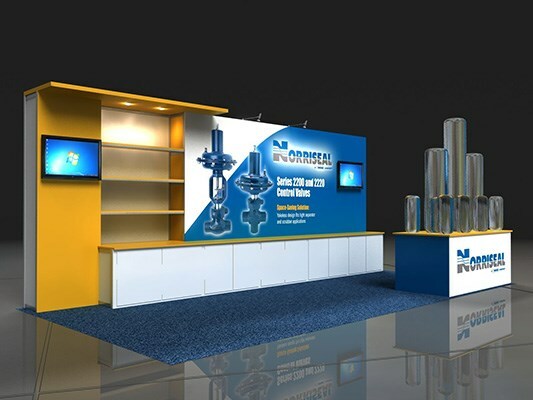 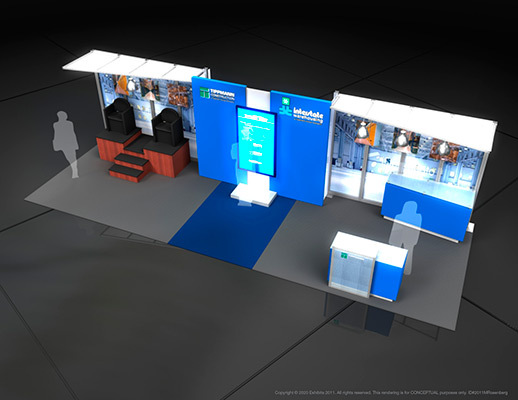 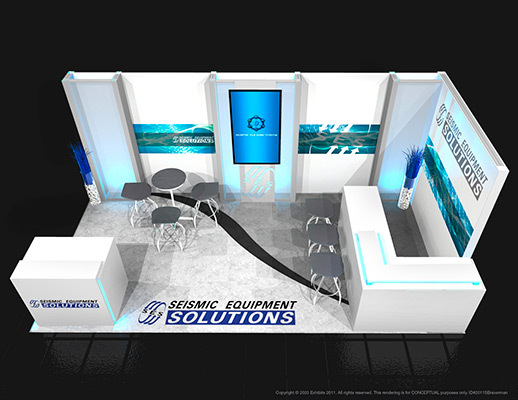 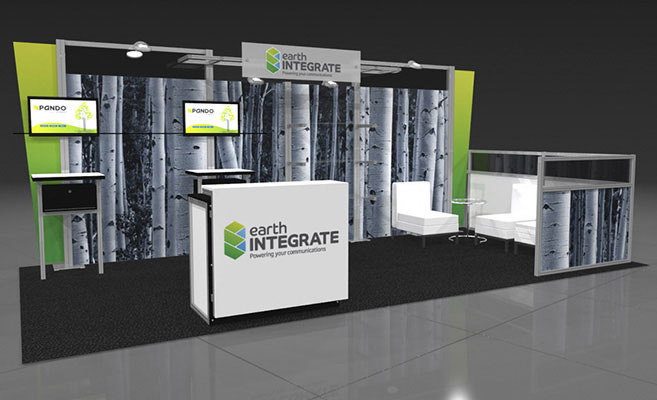 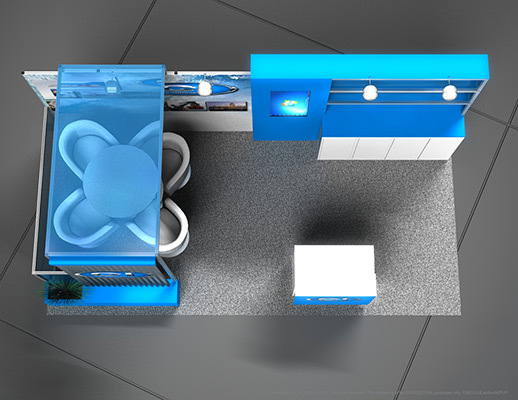 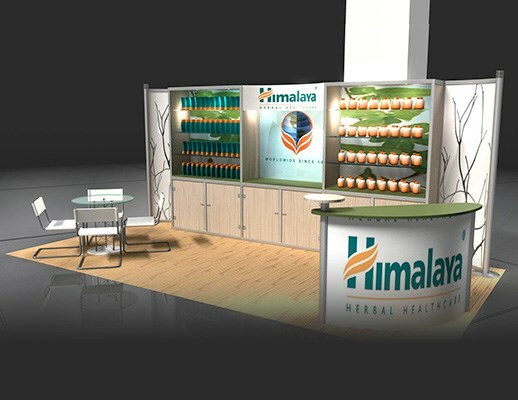 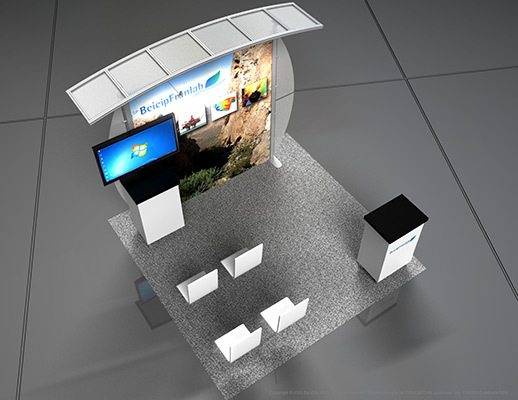 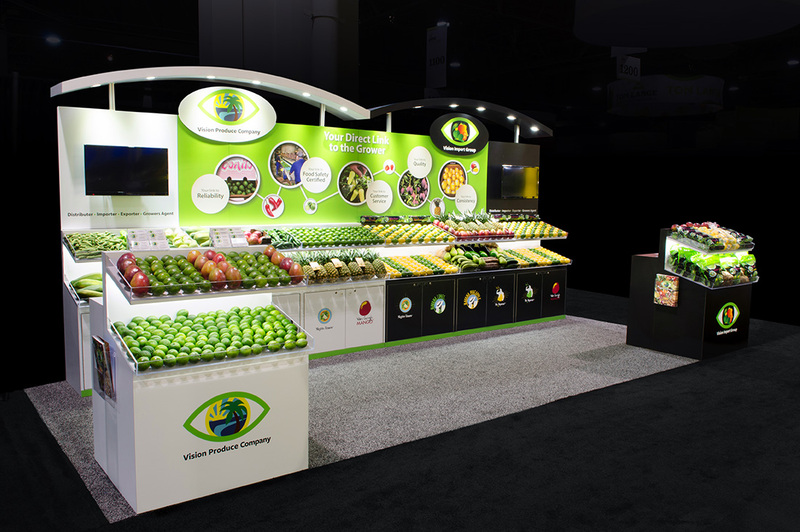 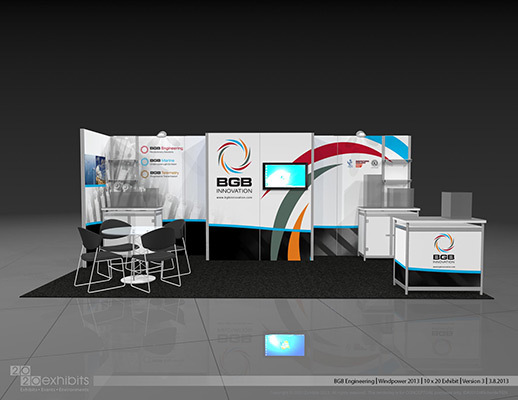 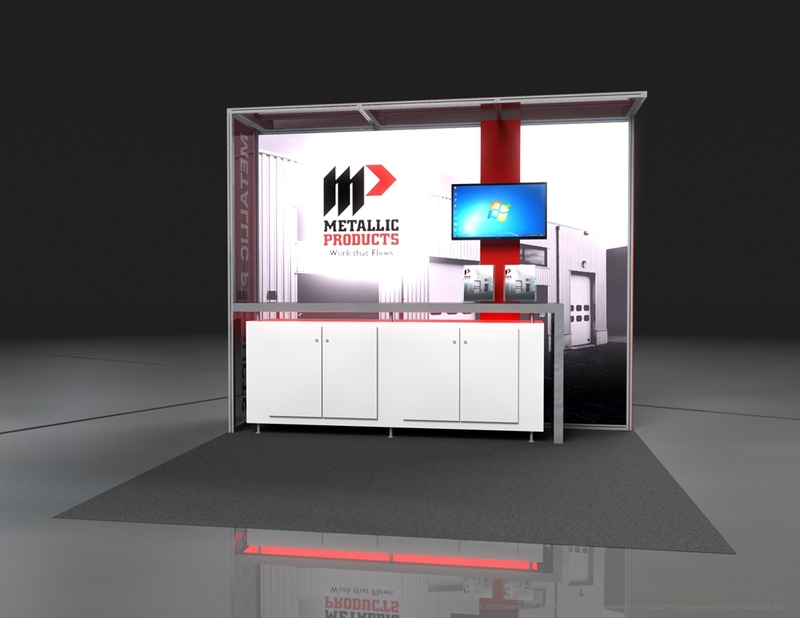 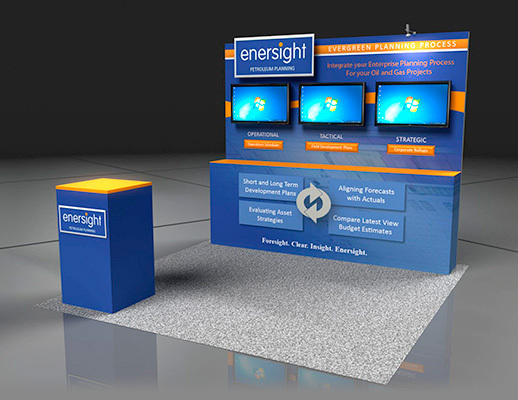 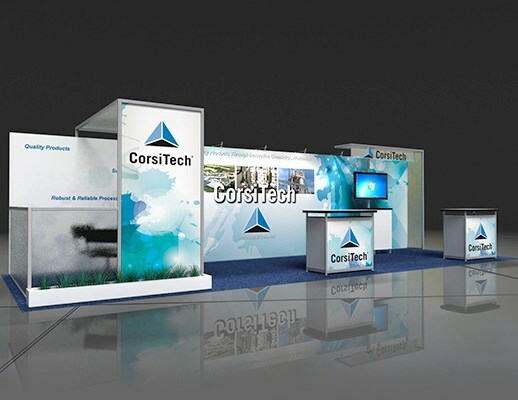 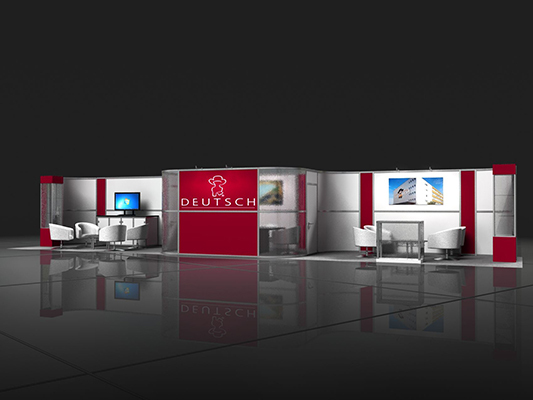 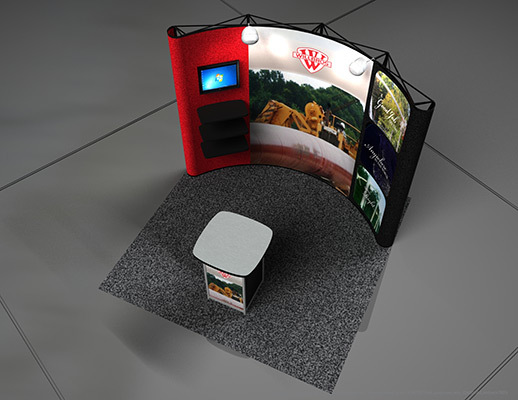 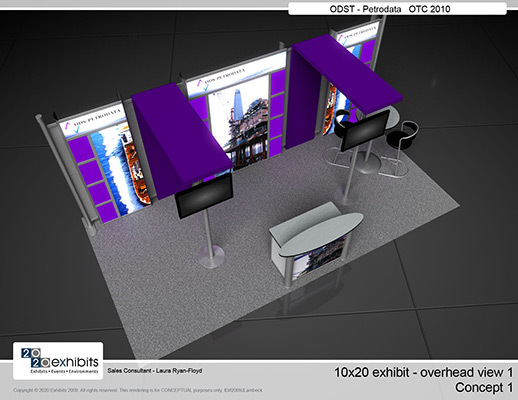 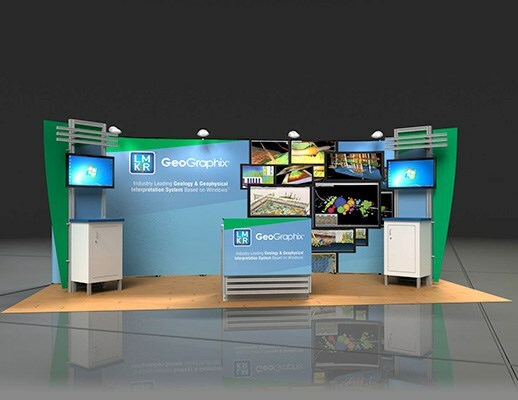 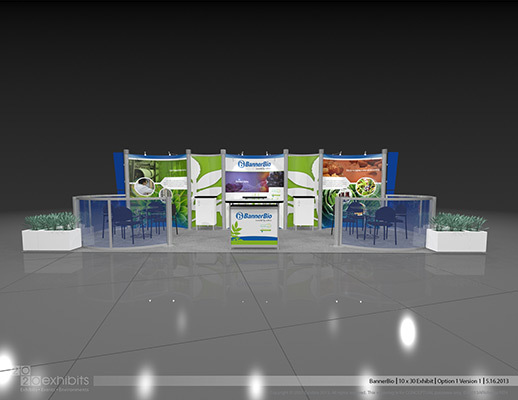 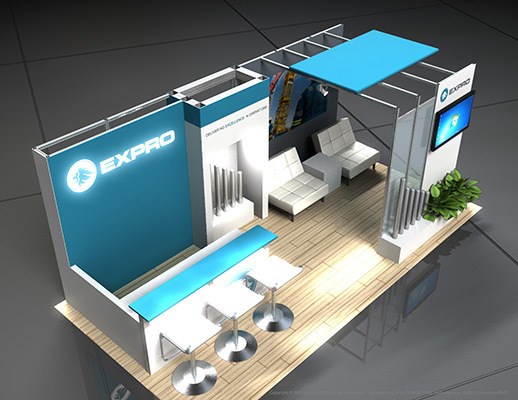 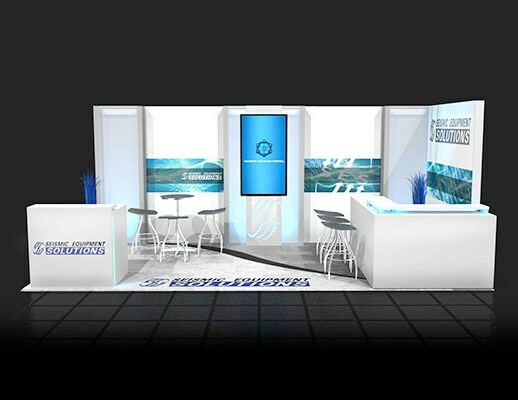 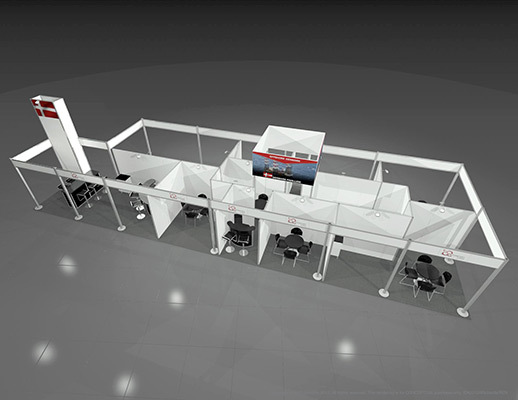 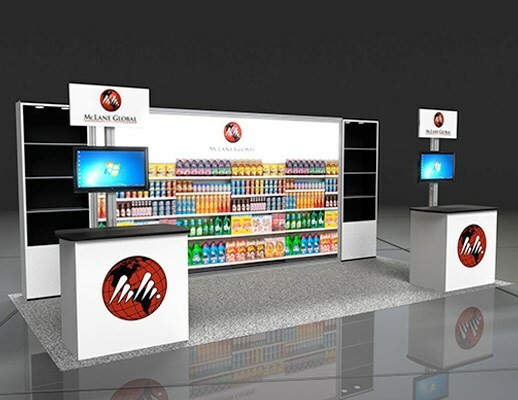 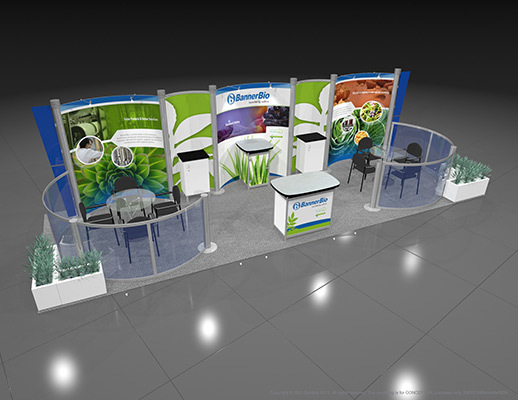 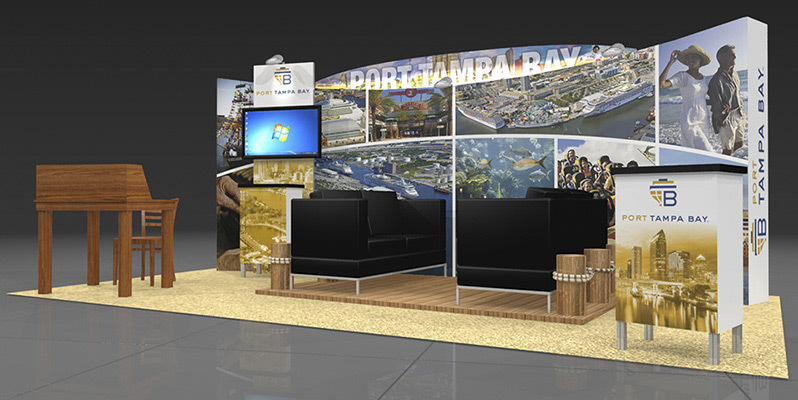 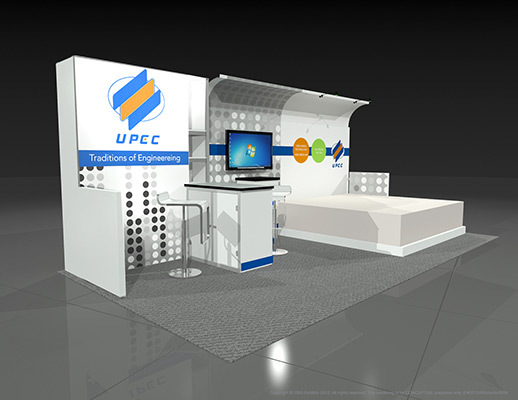 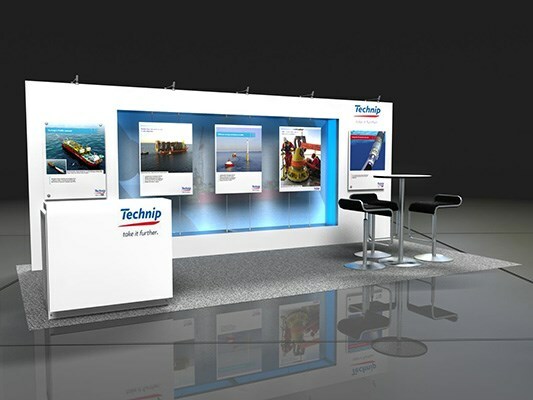 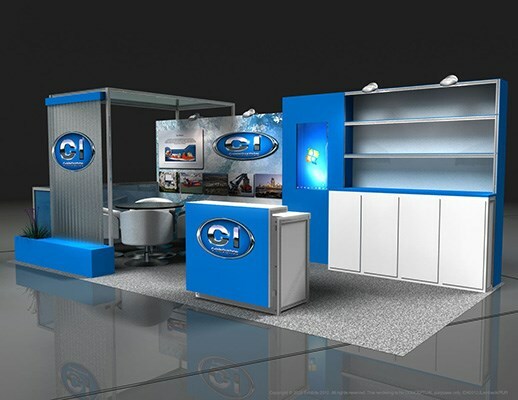 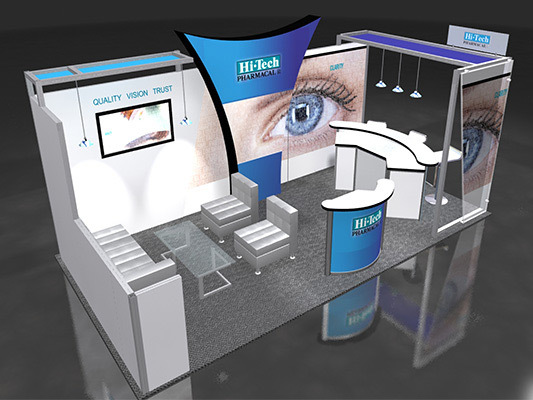 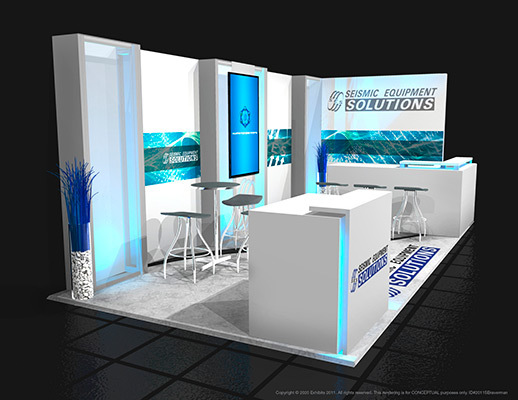 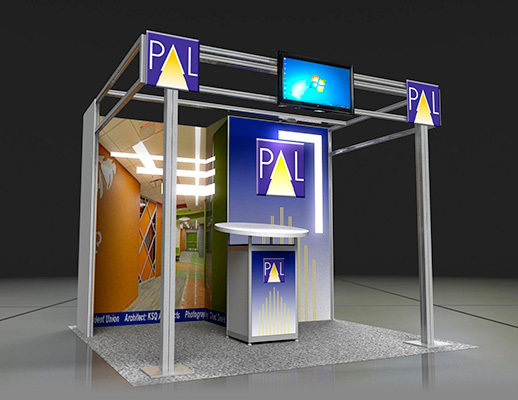 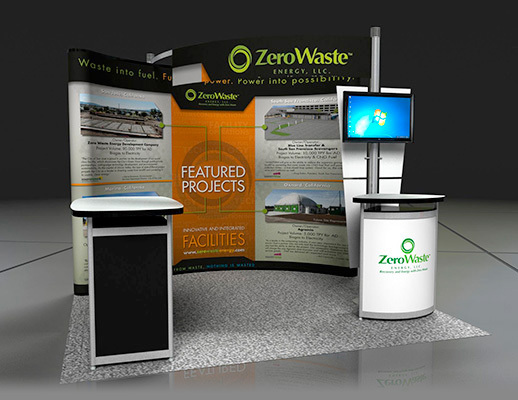 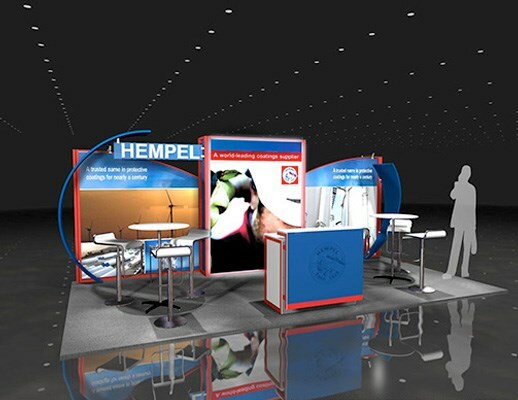 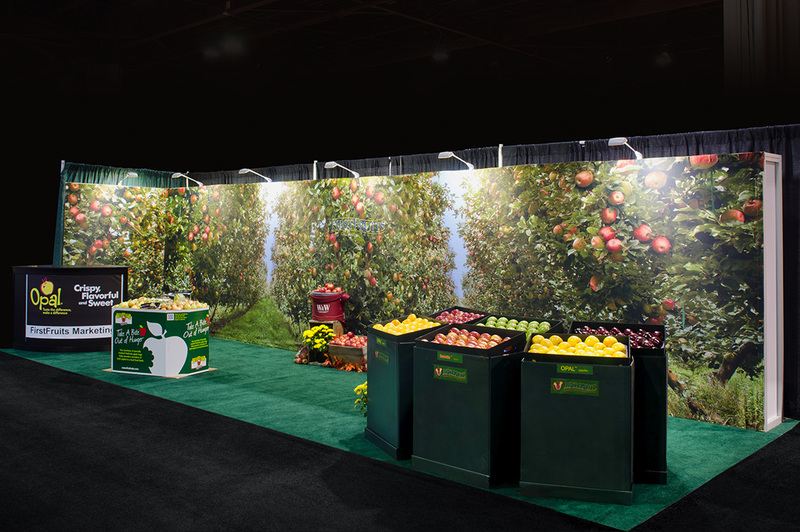 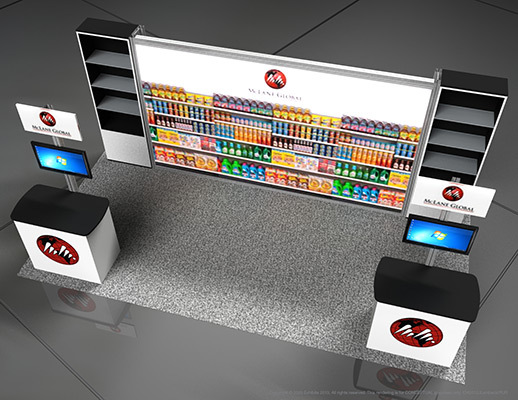 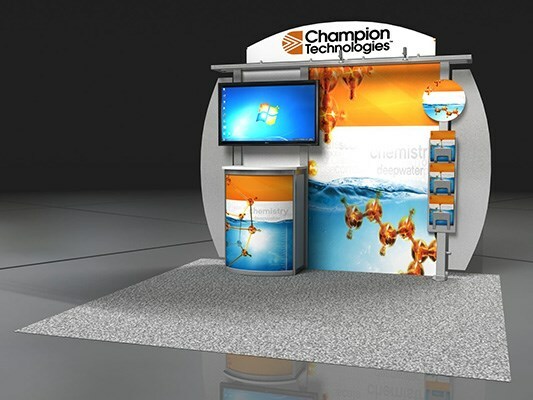 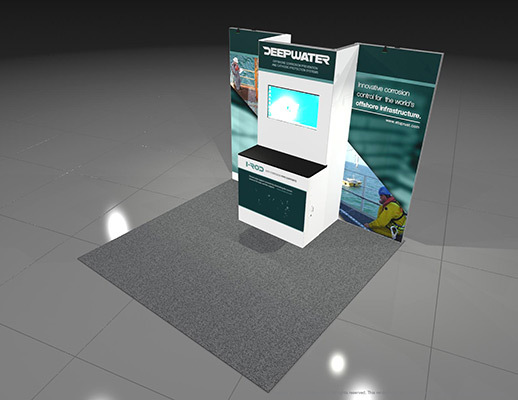 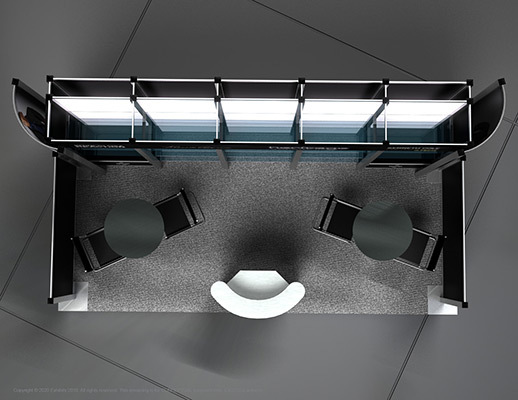 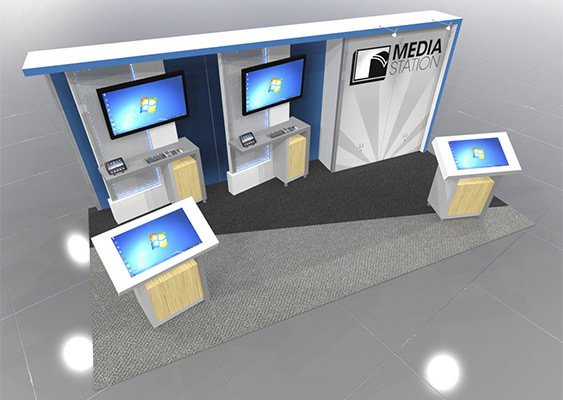 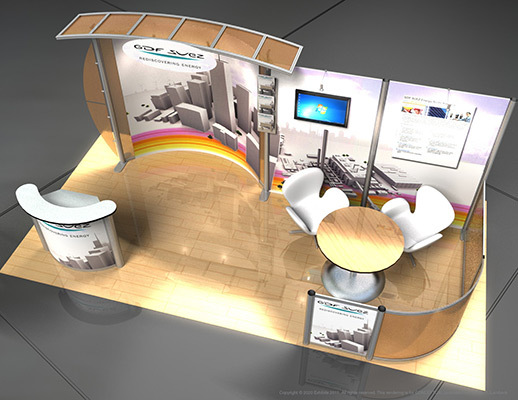 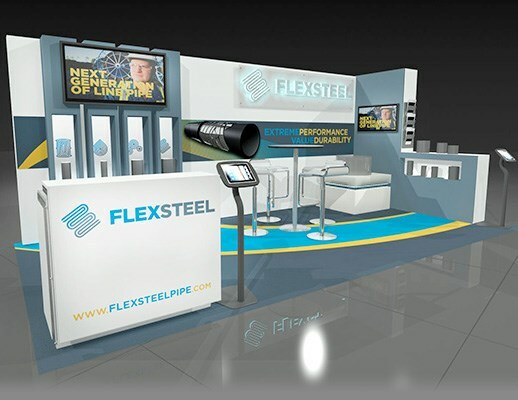 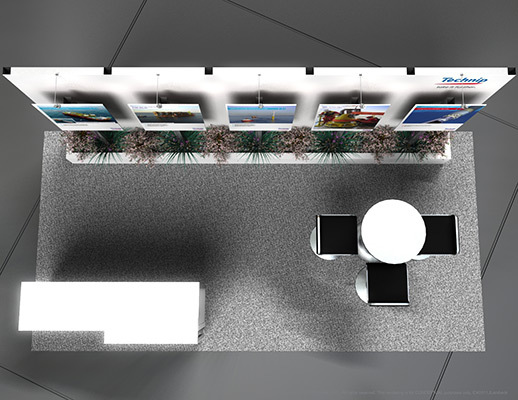 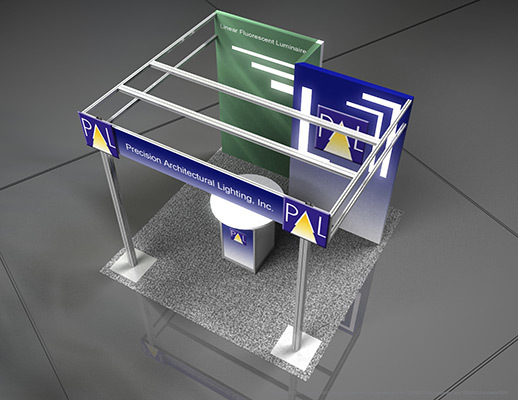 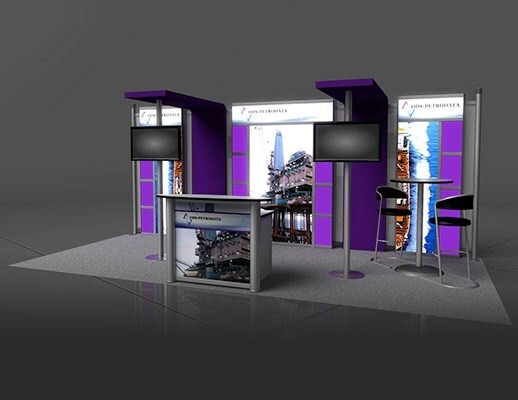 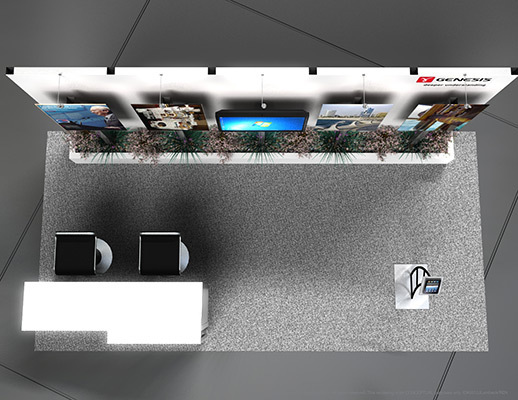 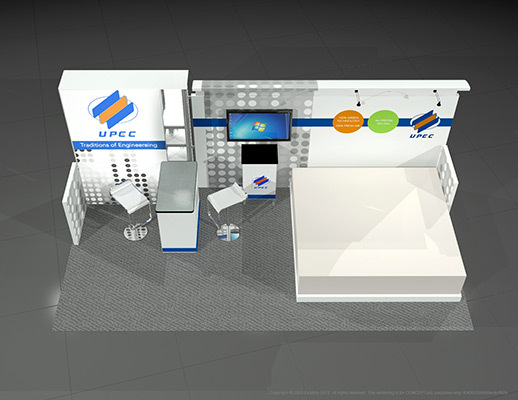 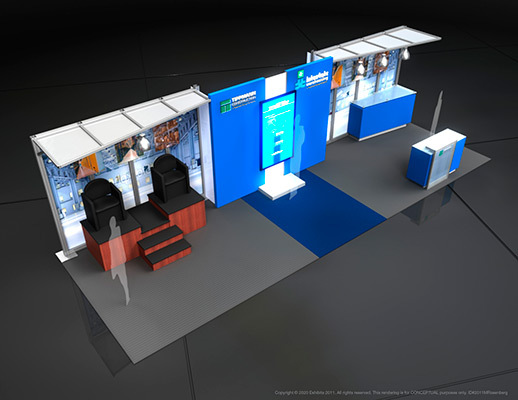 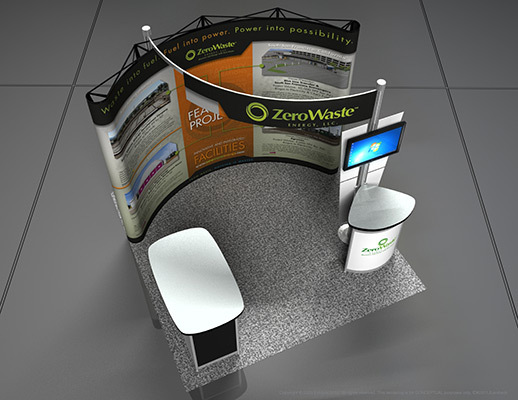 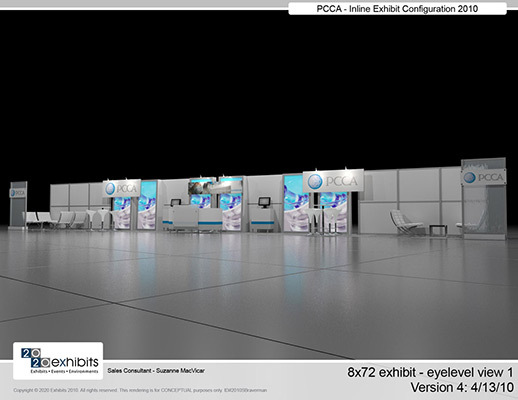 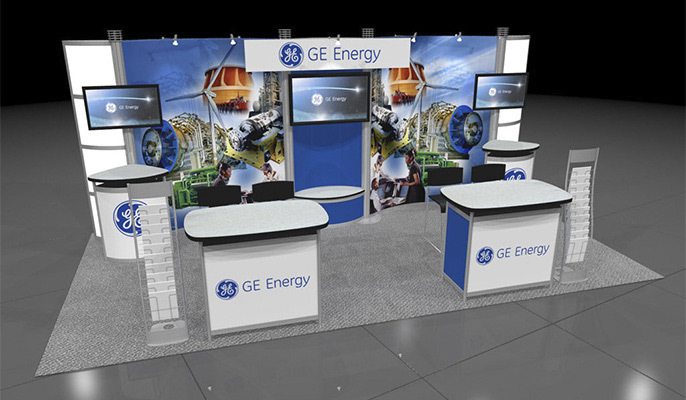 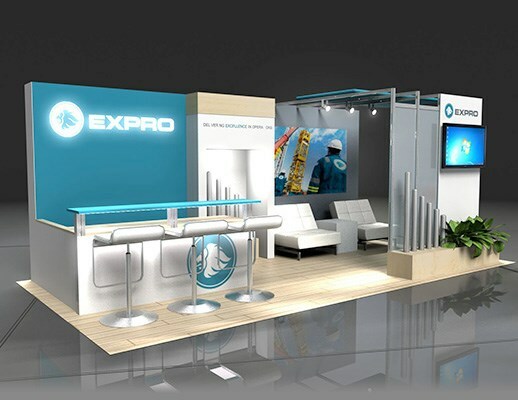 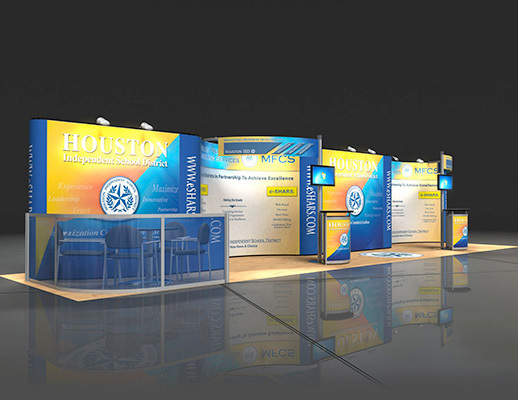 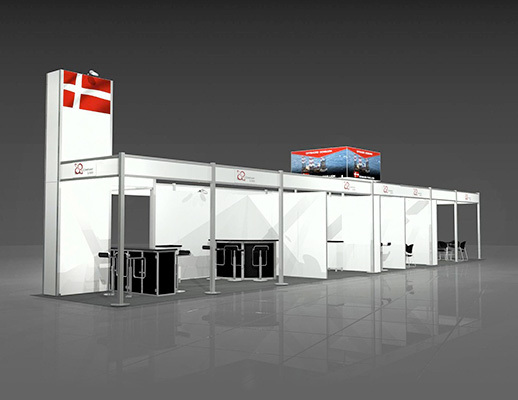 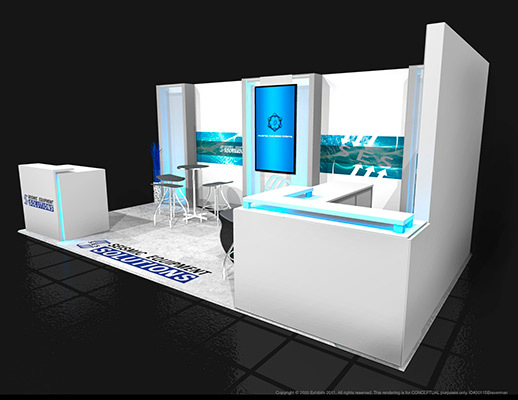 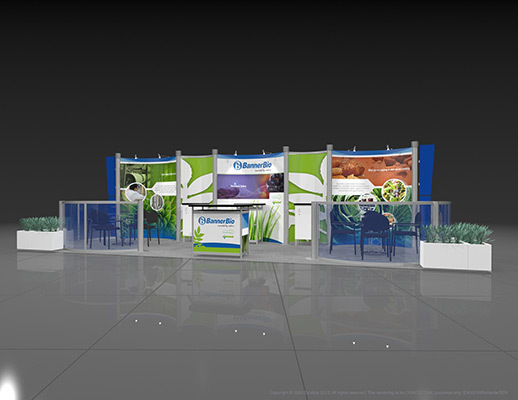 Features include: video wall, graphic backdrop, overhead lighting, product station, reception area, carpeted inlay, storage cabinets and literature displays.